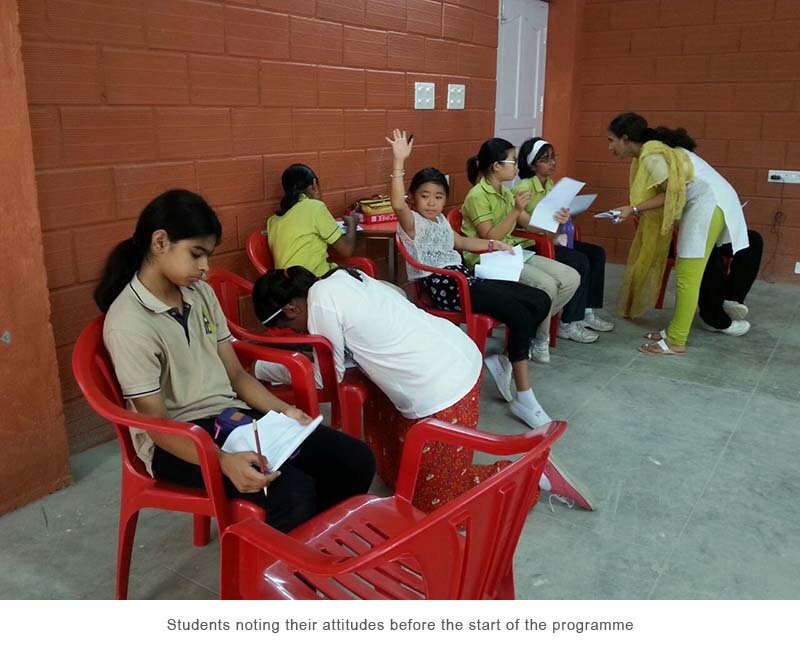 The programme is a part of the mainstream curriculum of the schools we work in. 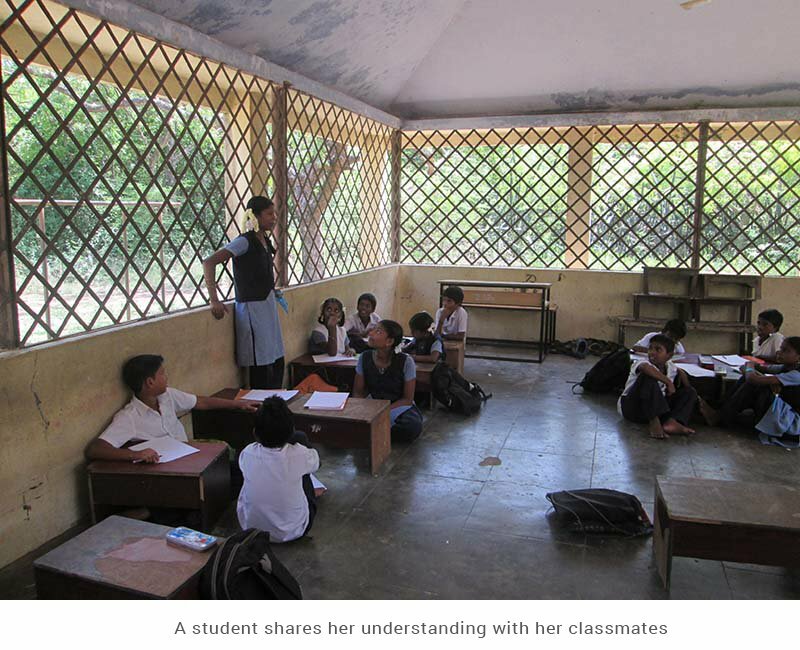 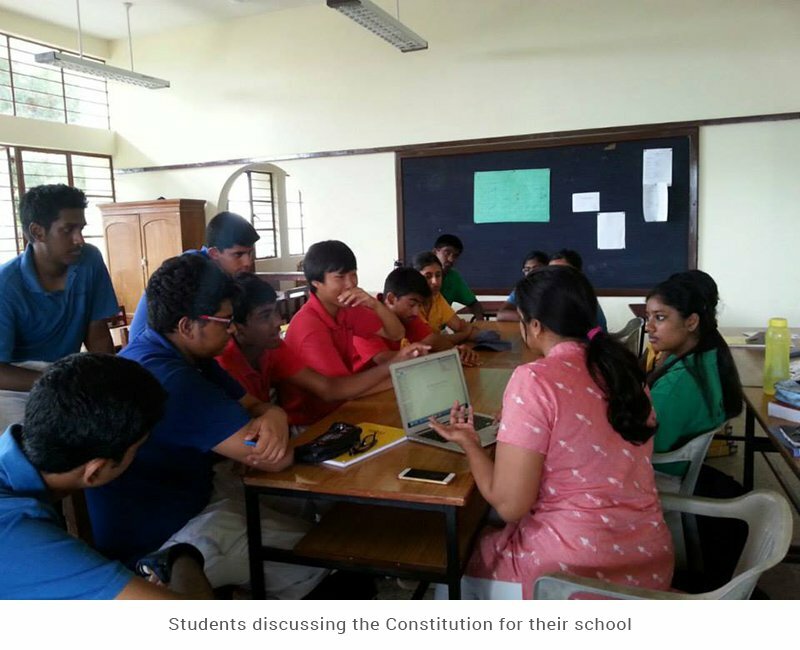 The sessions are not lectures; activities and classroom discussions are used instead to engage students. 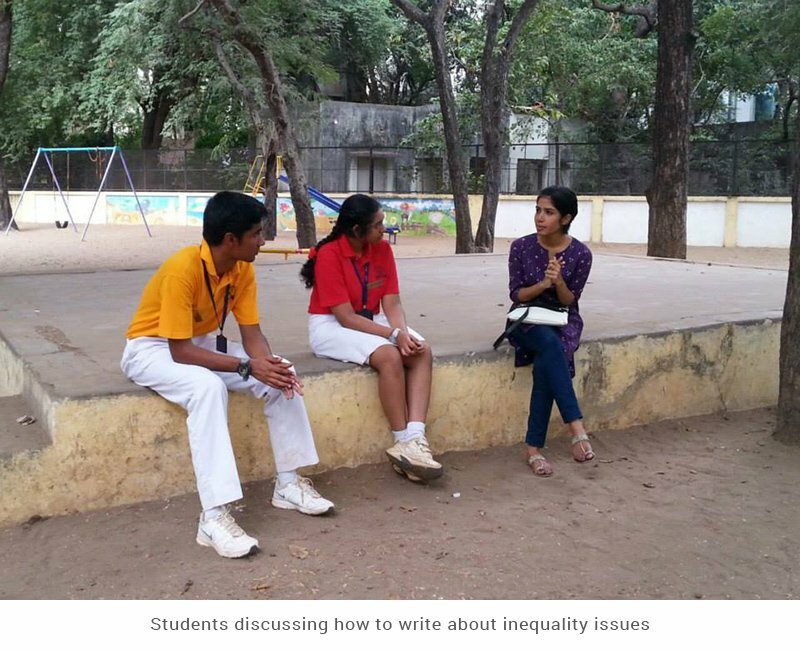 We organise one session a week conducted by a trained facilitator who exposes students to a wealth of perspectives, allowing them to frame their own opinions. 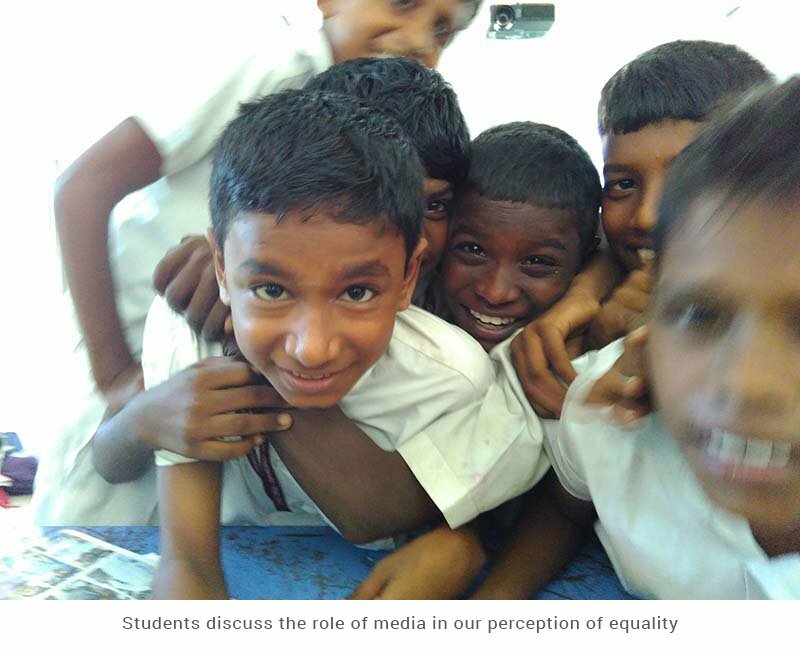 Our team of creative facilitators include leaders from social justice movements, lawyers, artists, writers, photographers, musicians, performance artists, and therapists, who engage with students and enable them to articulate their views on equality and social justice using multiple modes of expression. 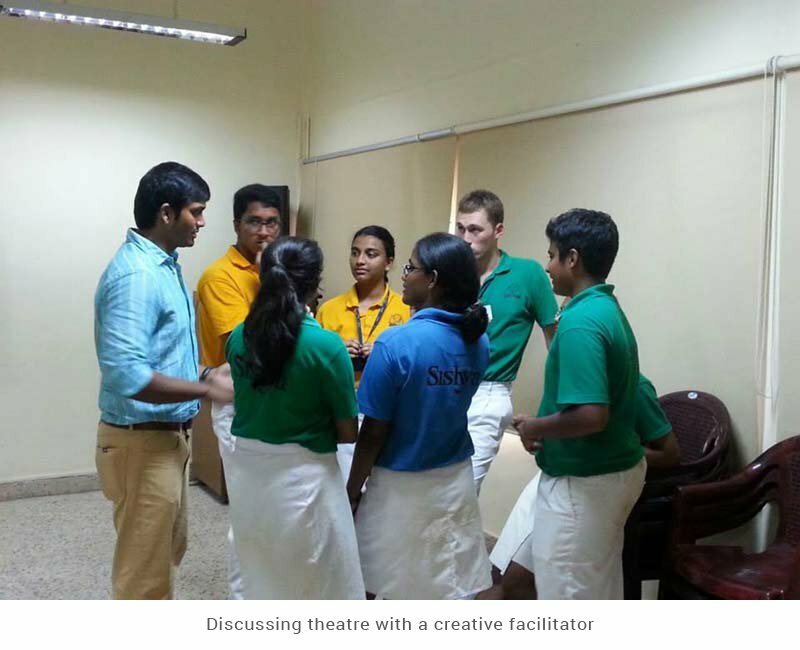 In addition to the year-long programme, we conduct short duration workshops for students and teachers on specific topics. 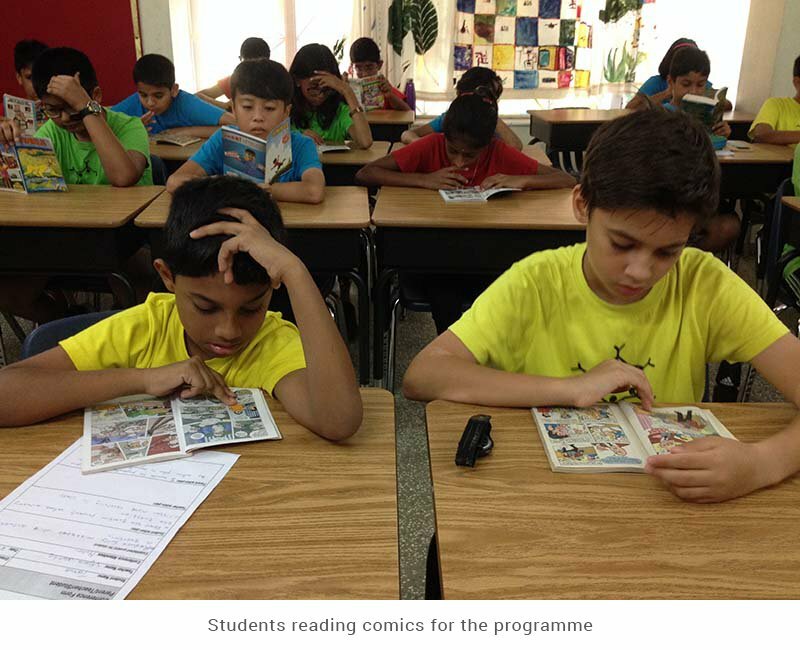 Our brochure has more details about the programme we run in schools and how exactly it can benefit your children or students. 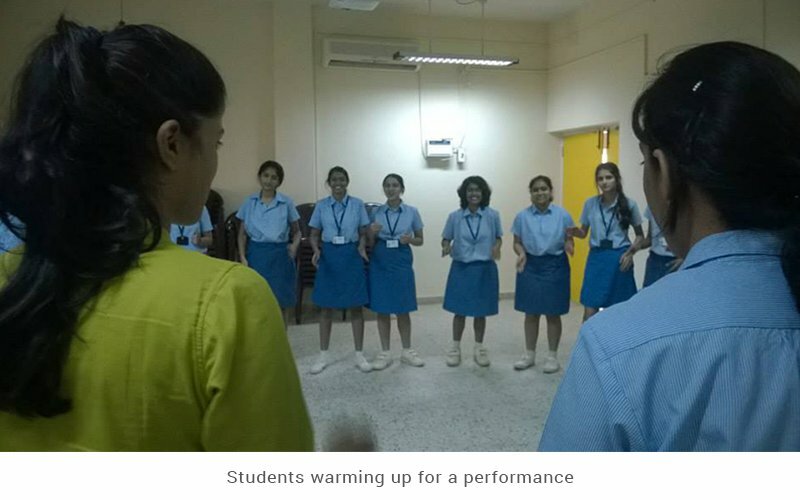 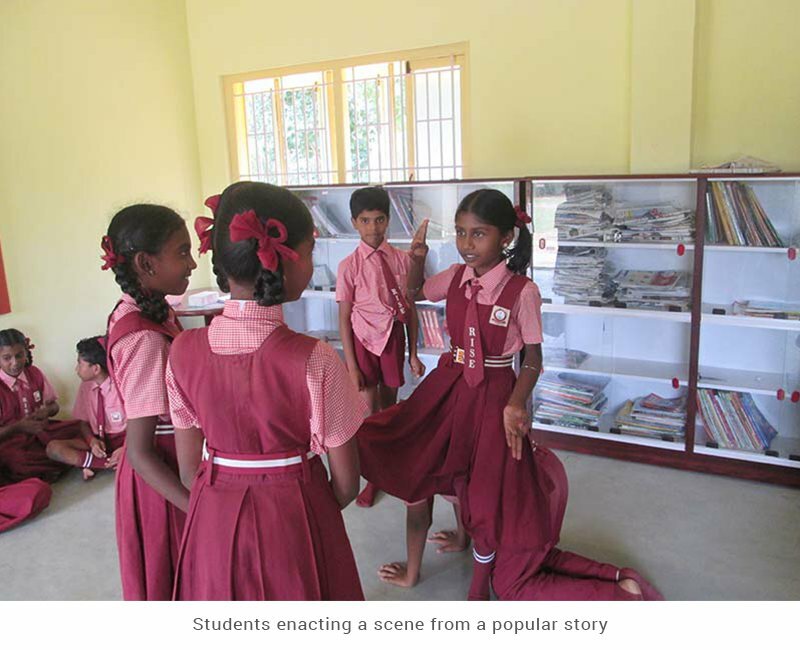 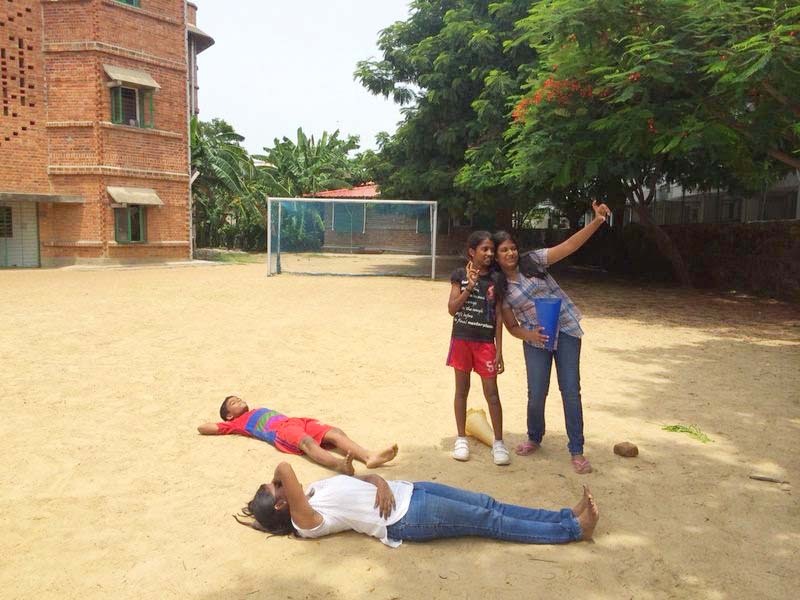 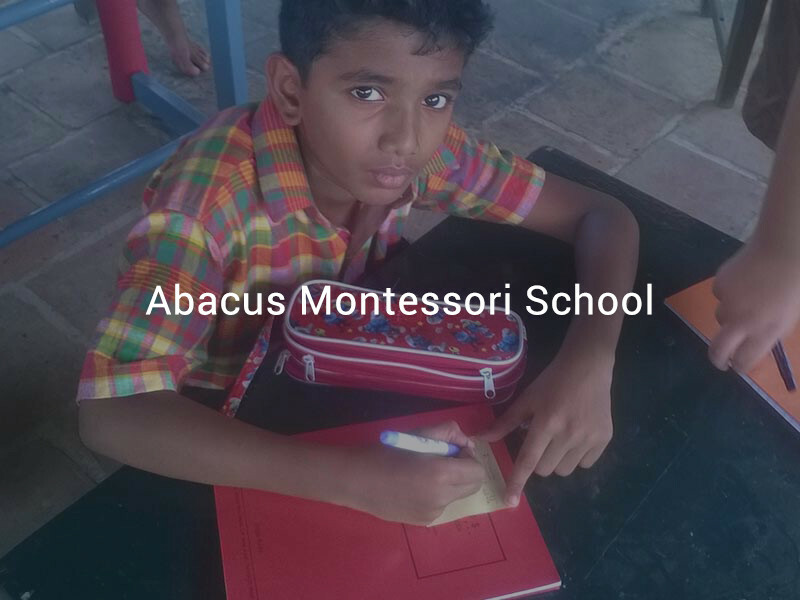 Krishnakumar Balasubramanian, Artistic Director of The Little Theatre, conducted a workshop at Abacus Montessori School to facilitate the creation of stories from the students’ individual and collective imagination. 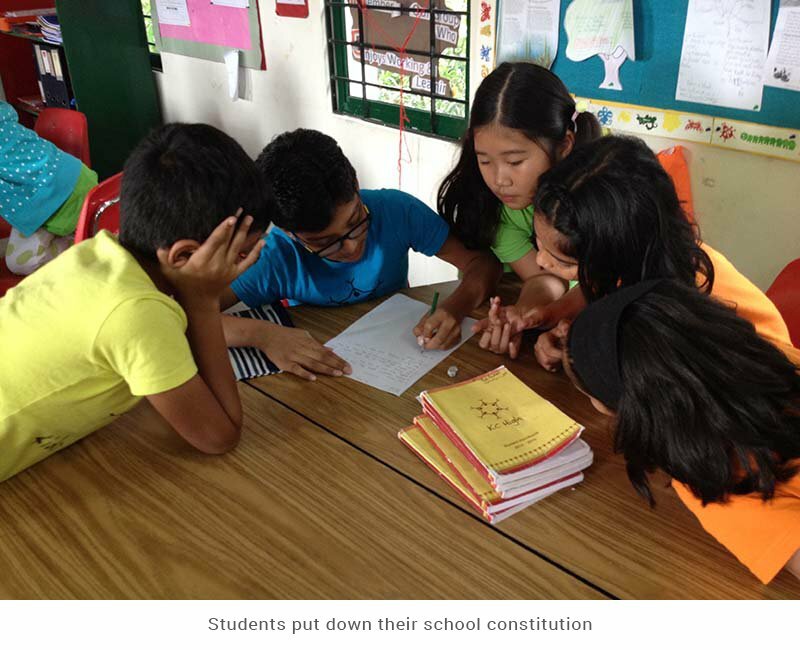 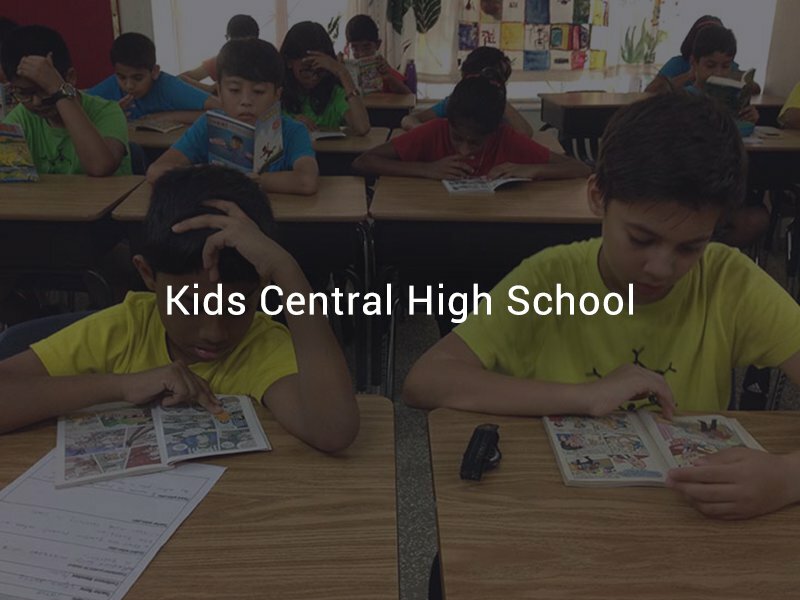 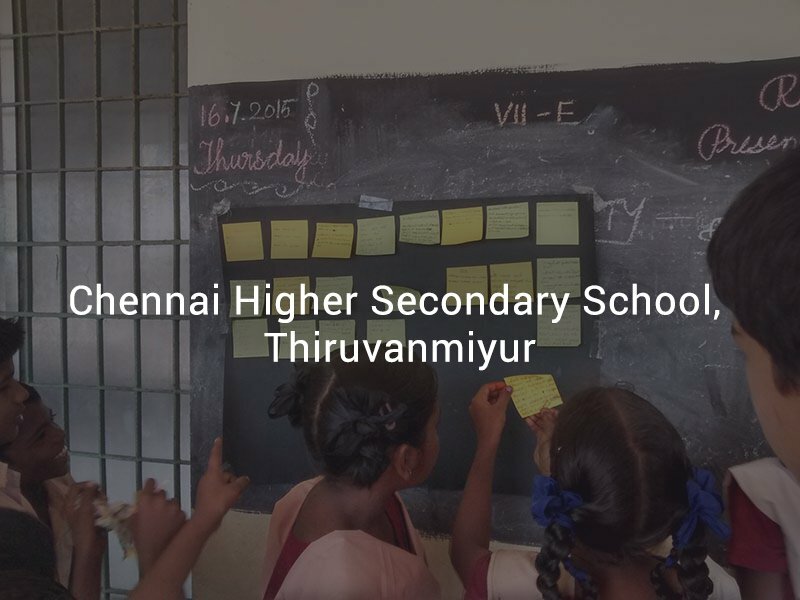 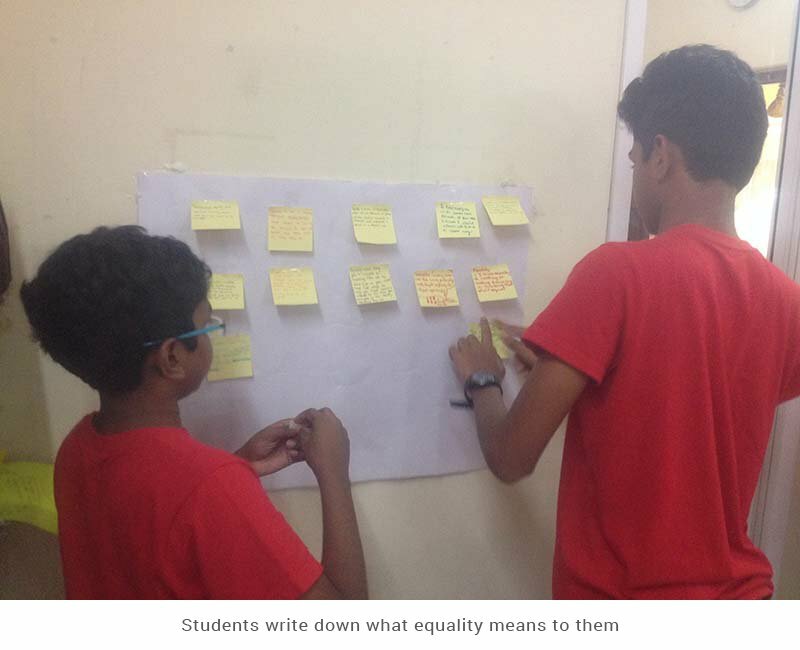 The workshop encouraged students to look into these stories and explore the stereotypes present in them, and then grappled with the issue of rethinking them. 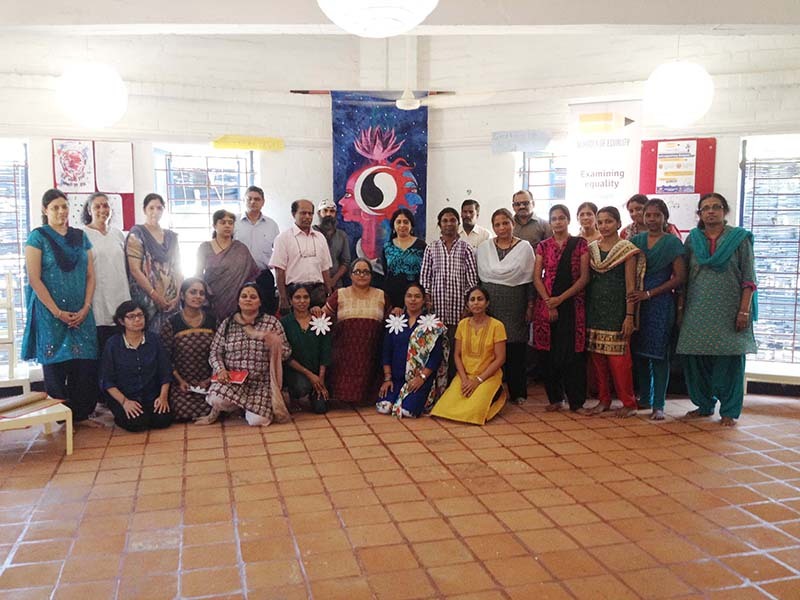 Nritijuna Naidu and Saranya Manoharan conducted a workshop on understanding identity and how differences can form the basis of discrimination for the staff of Abacus Montessori school. 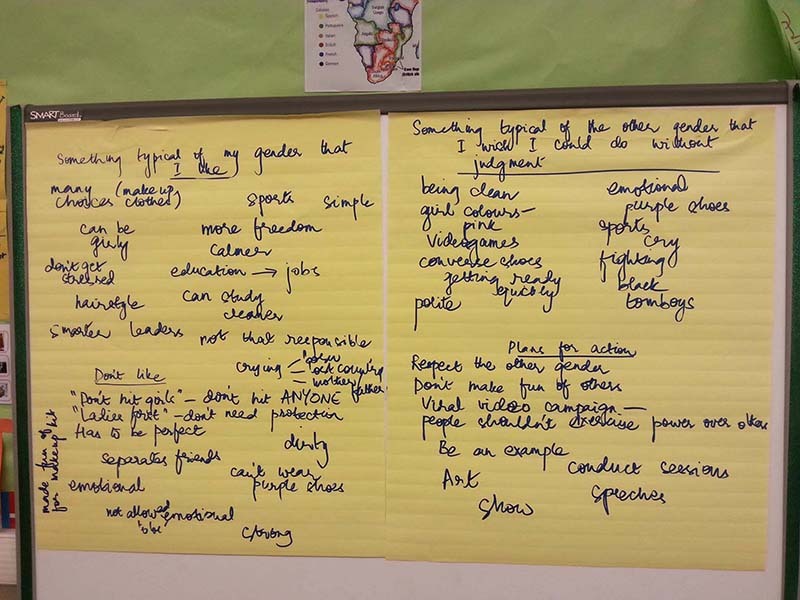 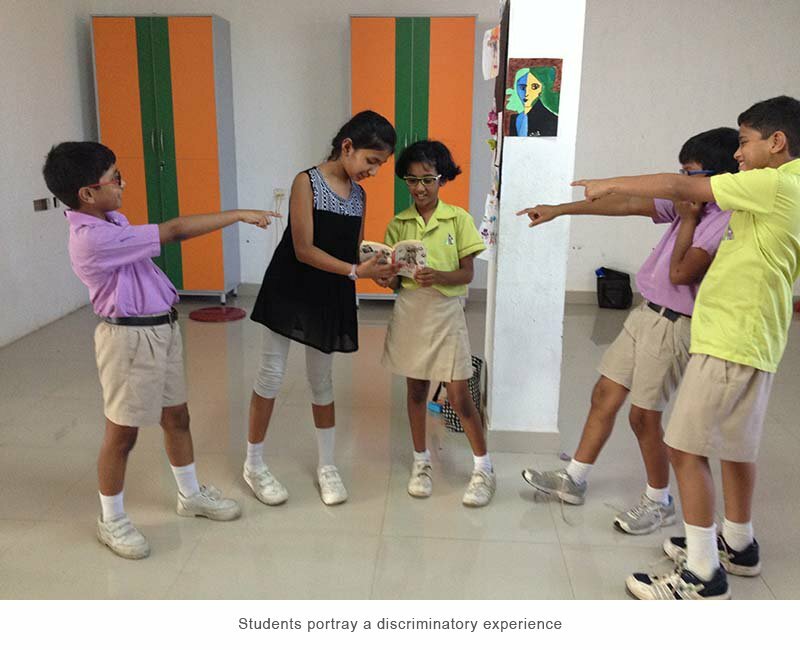 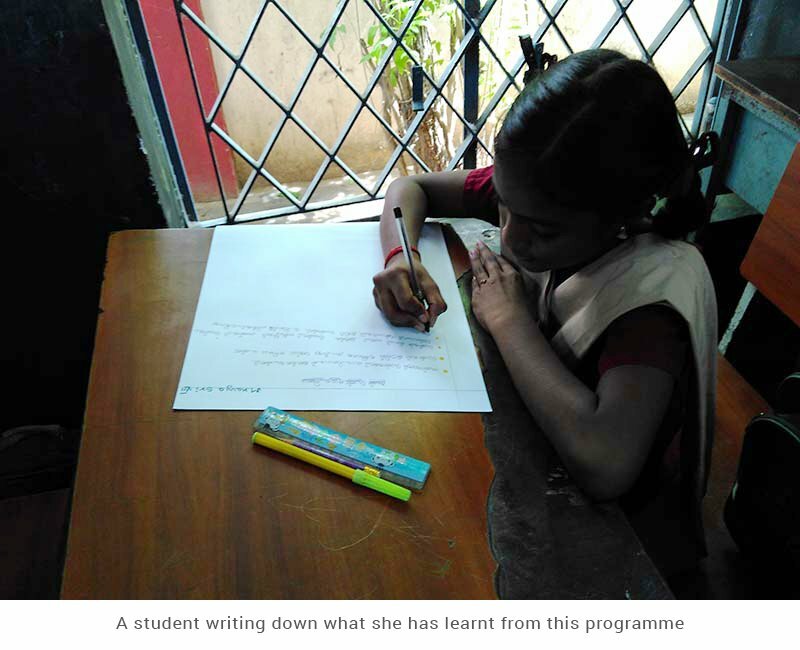 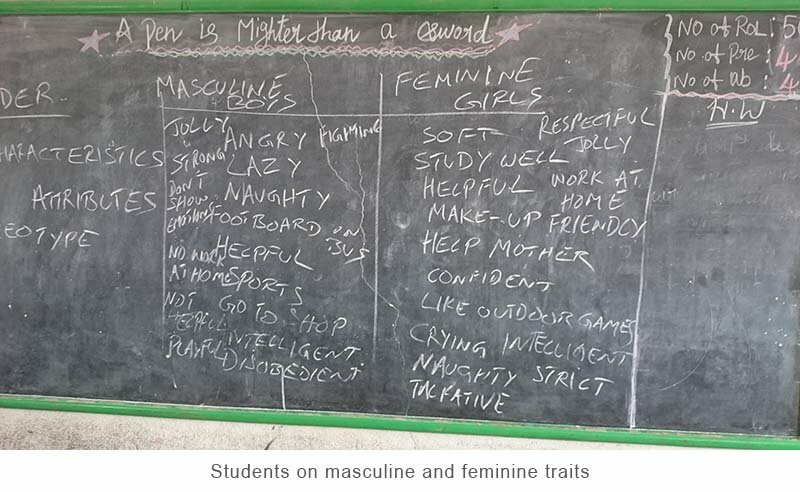 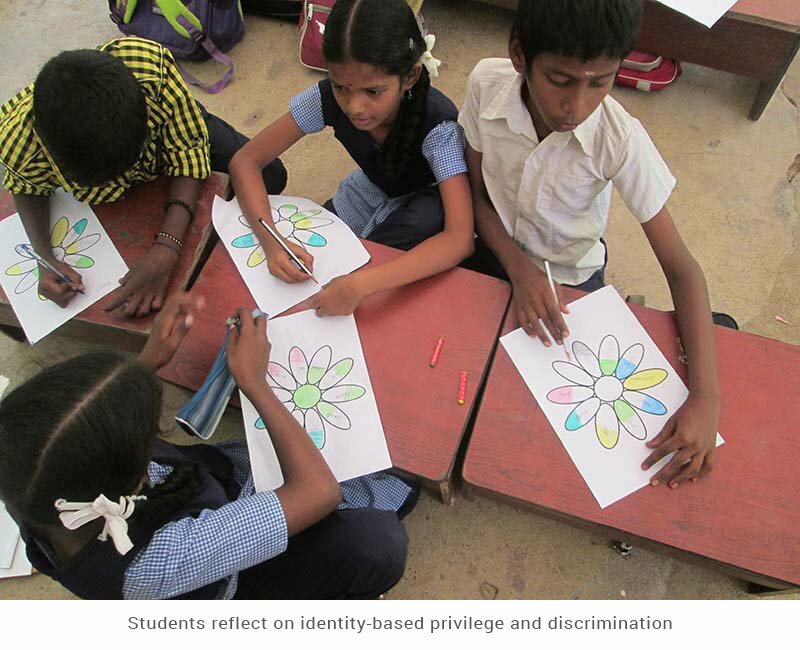 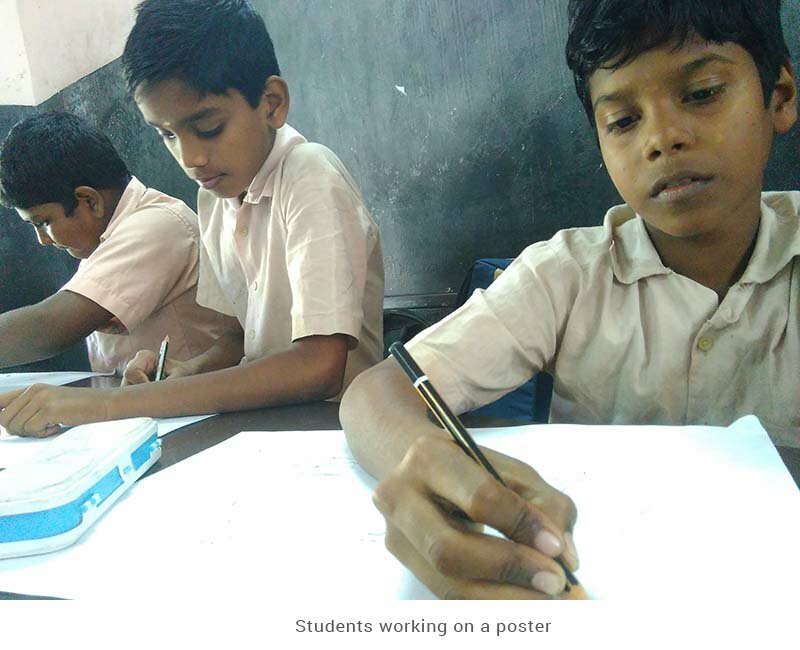 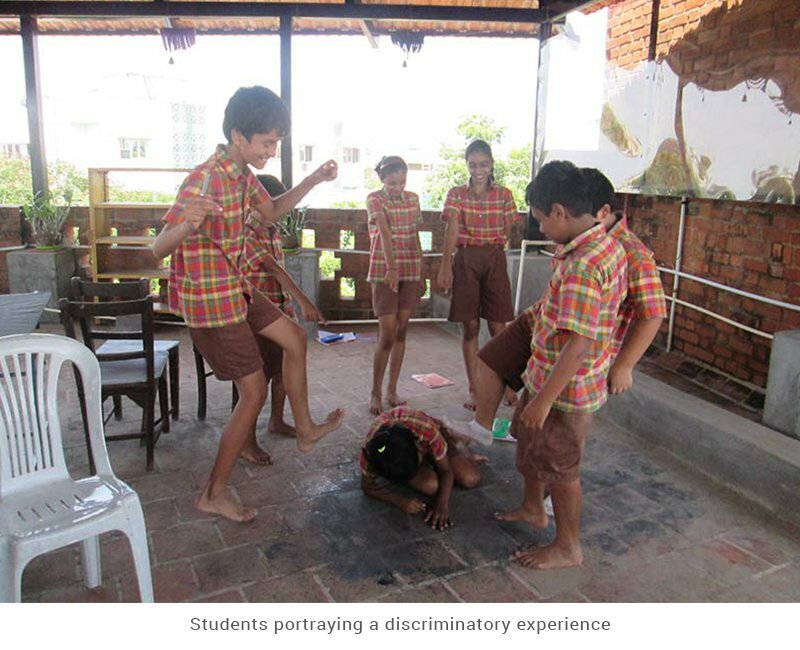 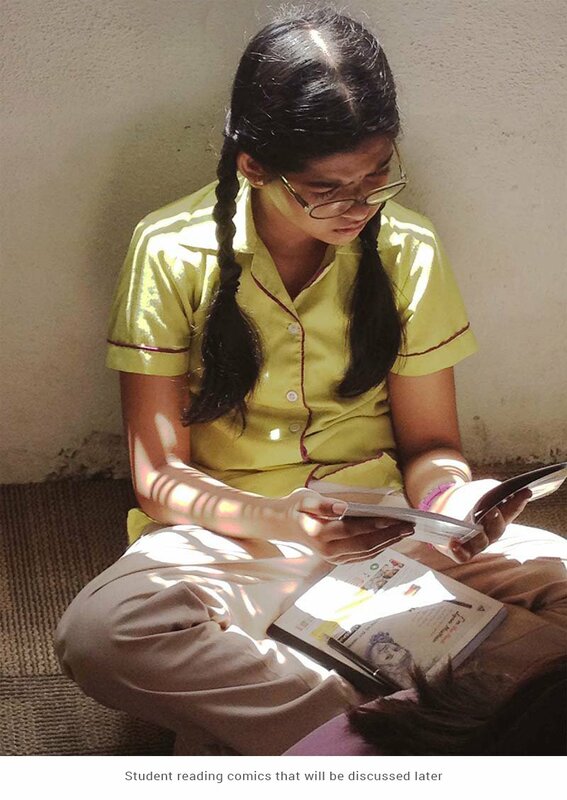 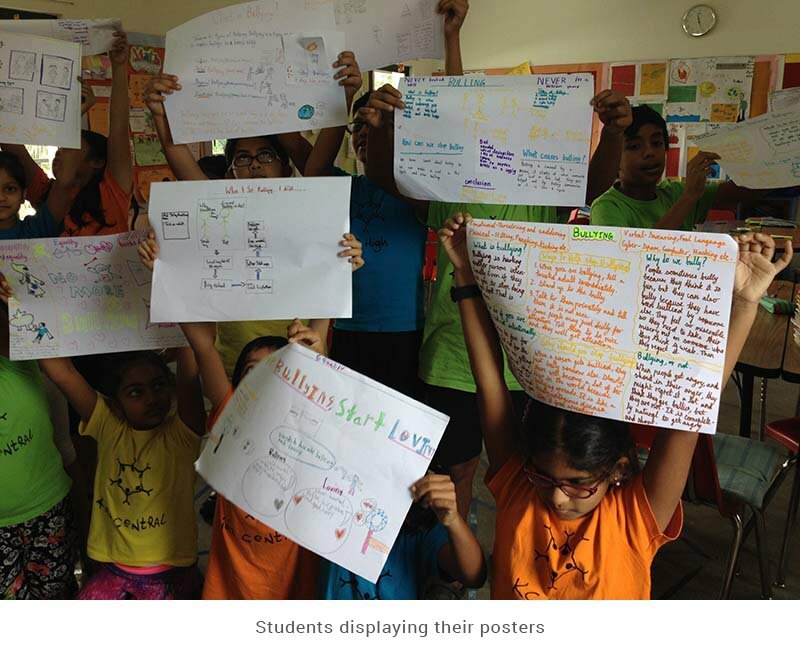 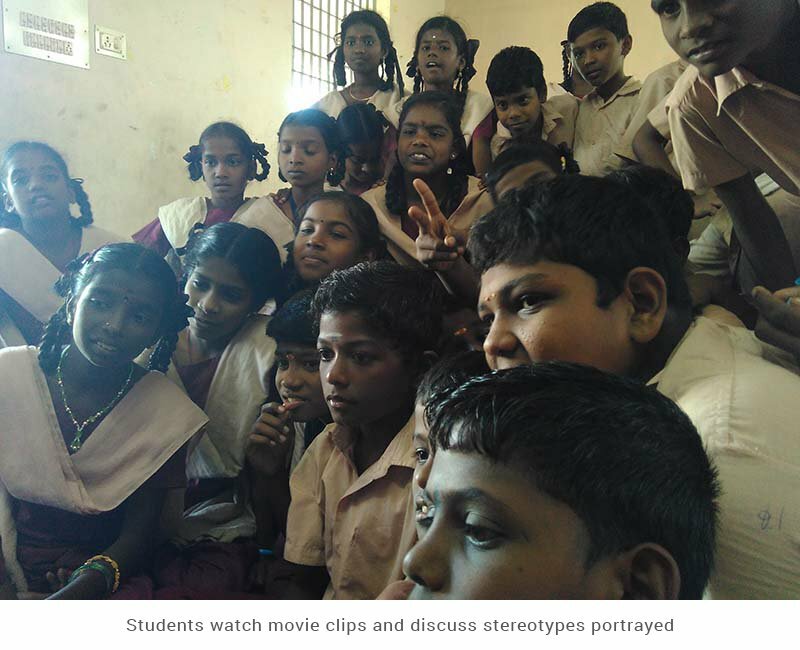 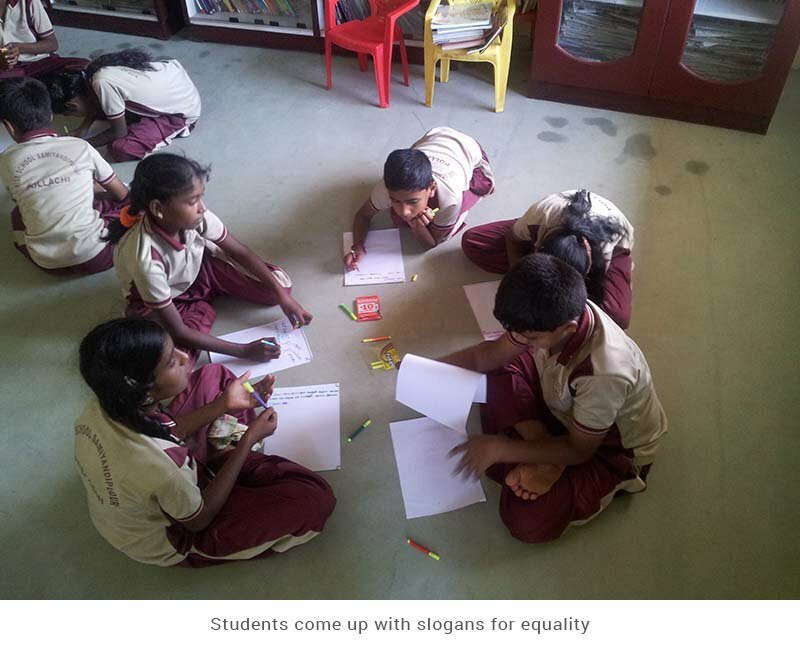 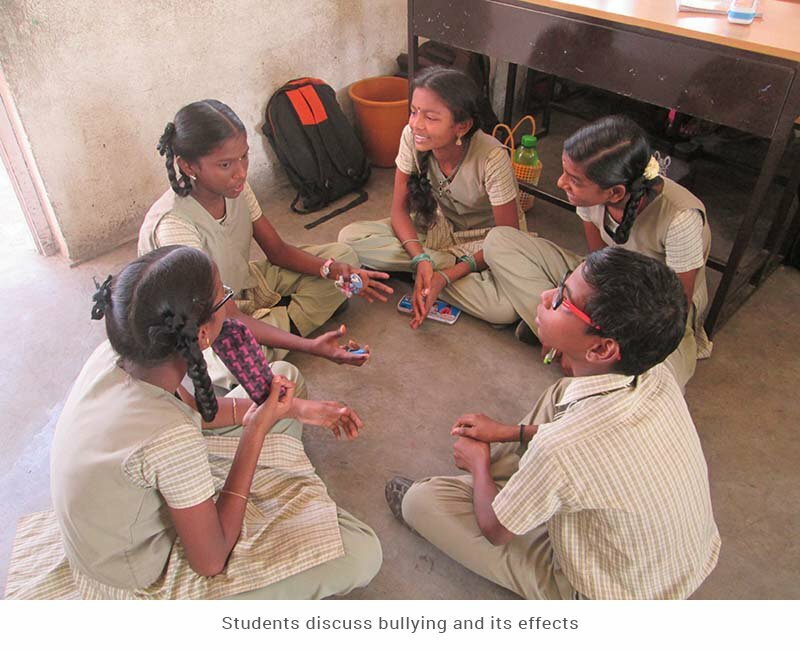 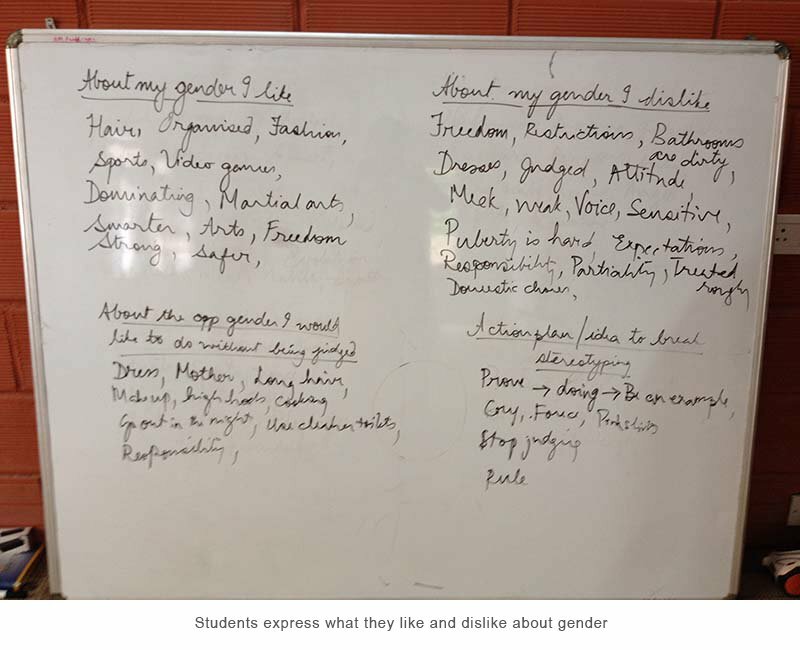 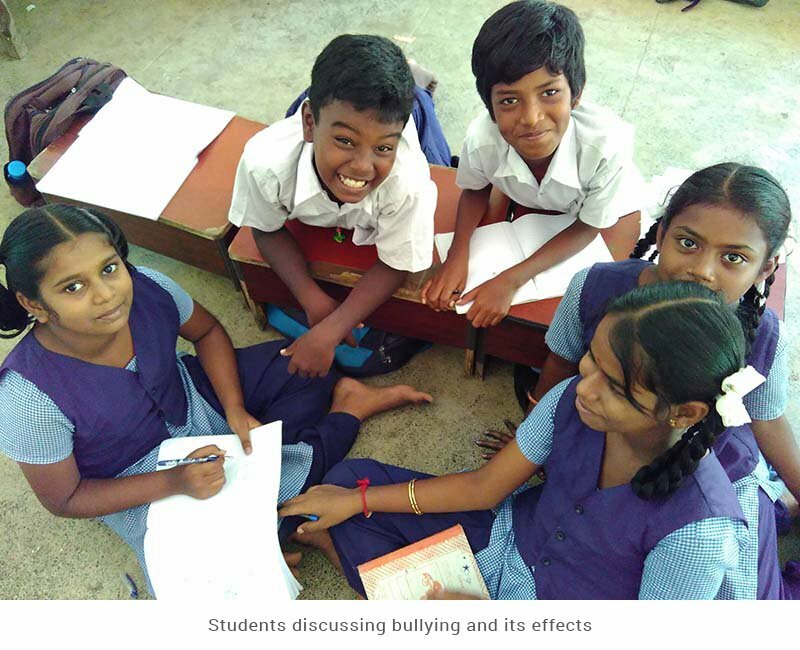 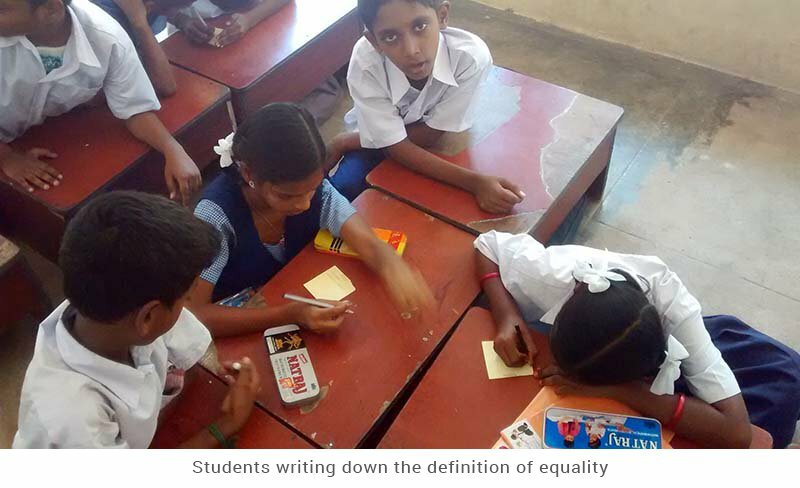 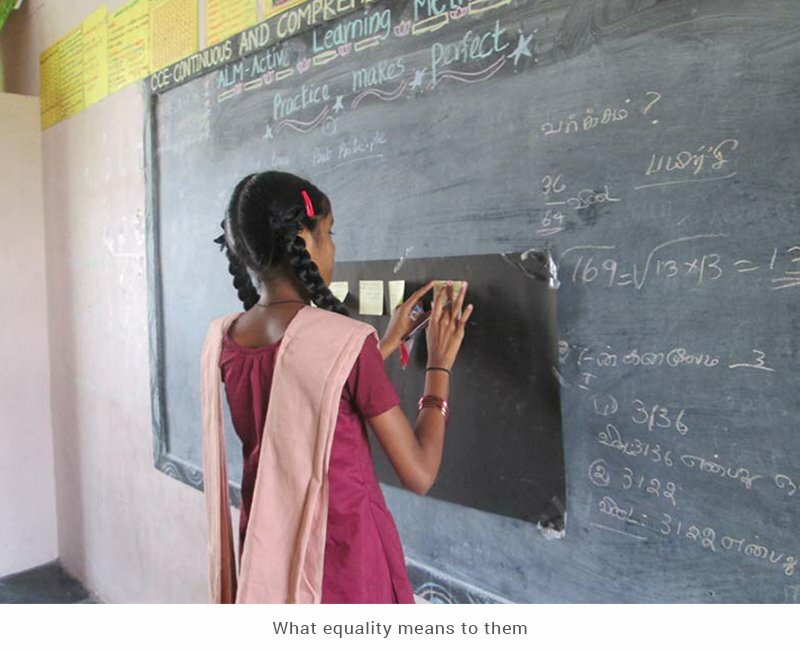 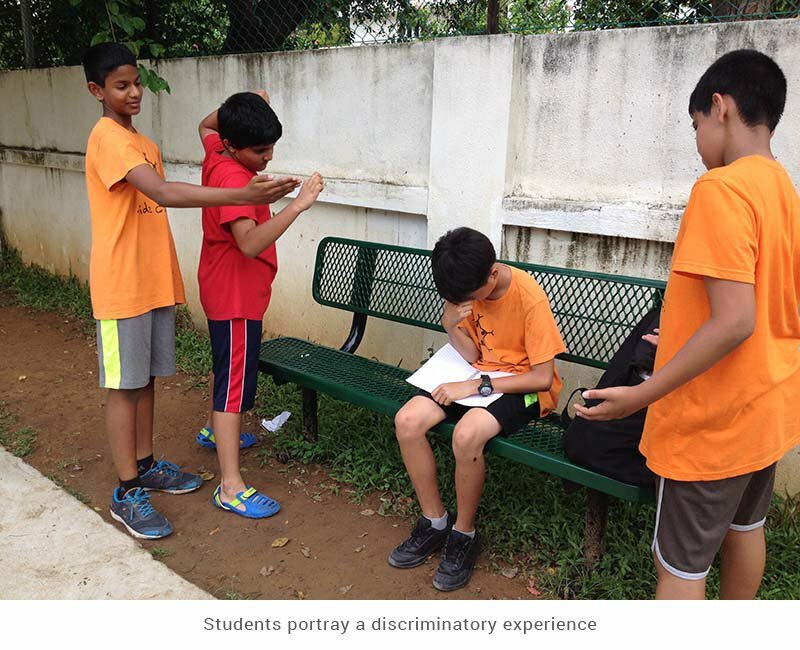 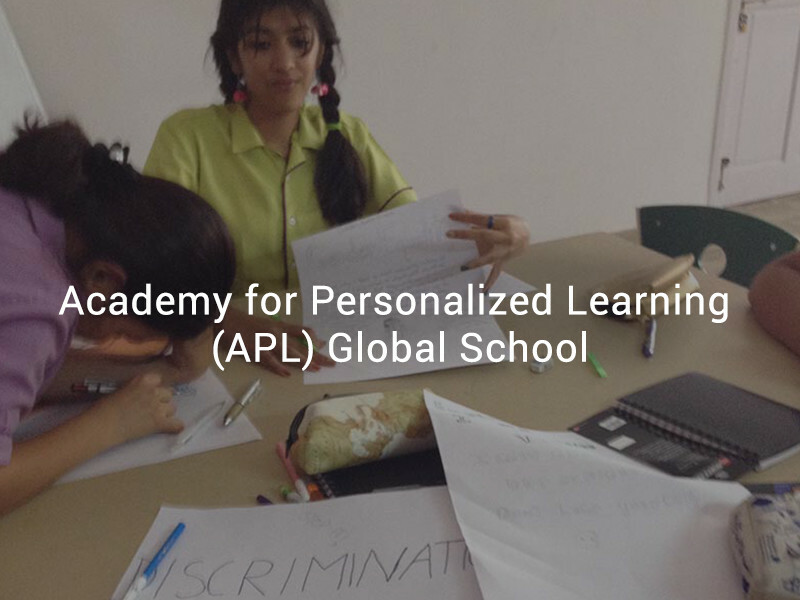 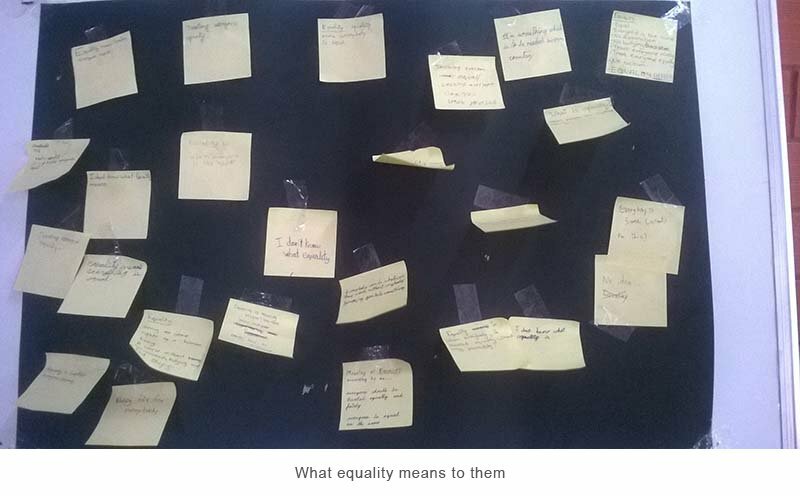 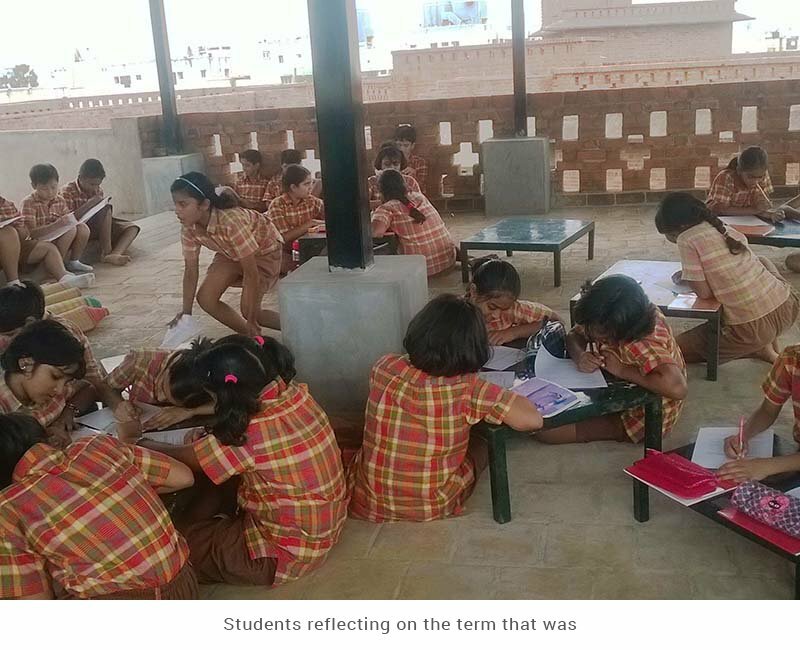 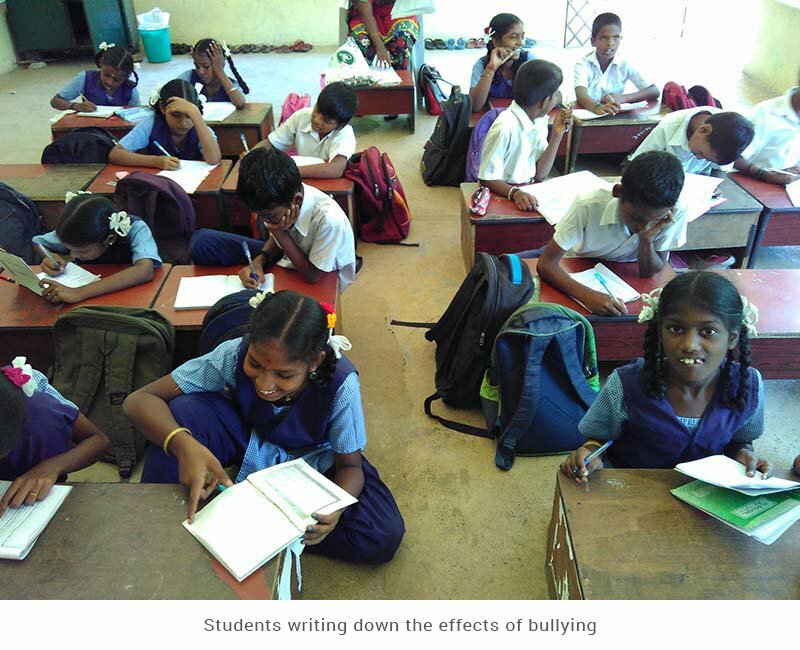 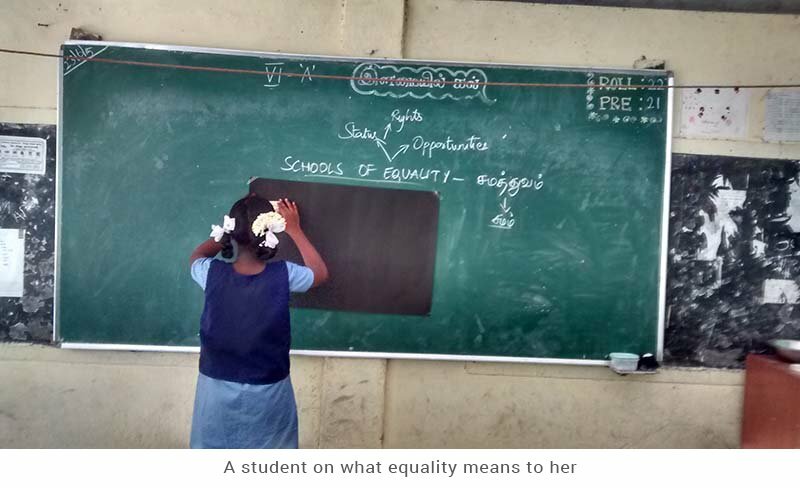 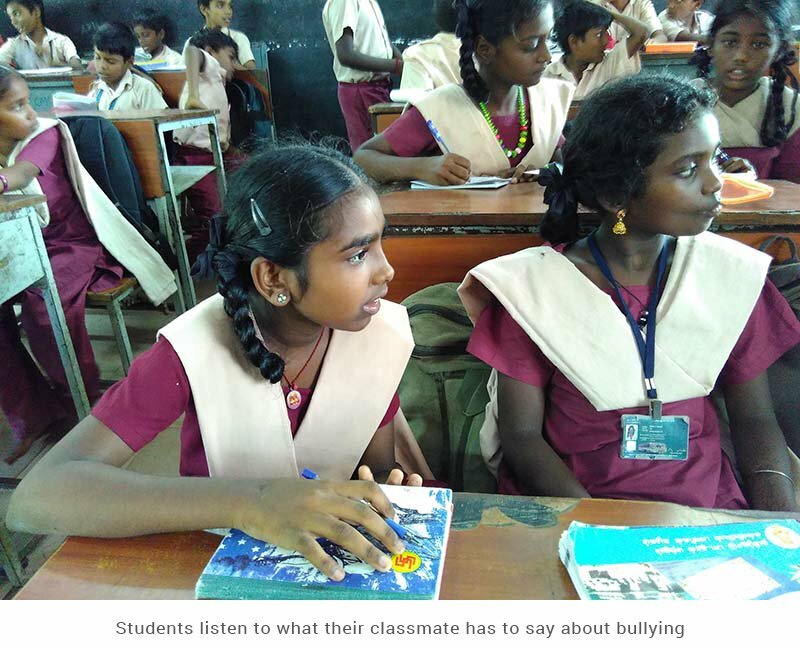 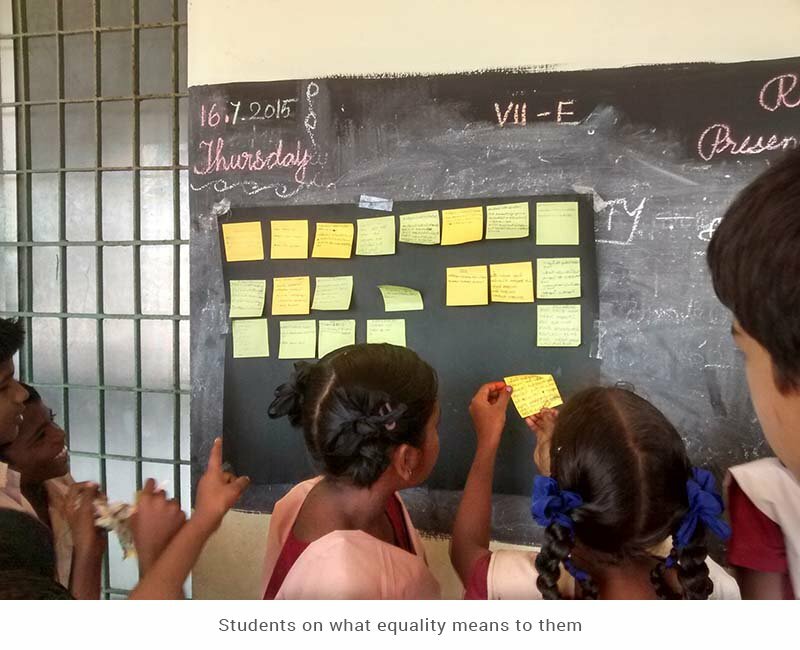 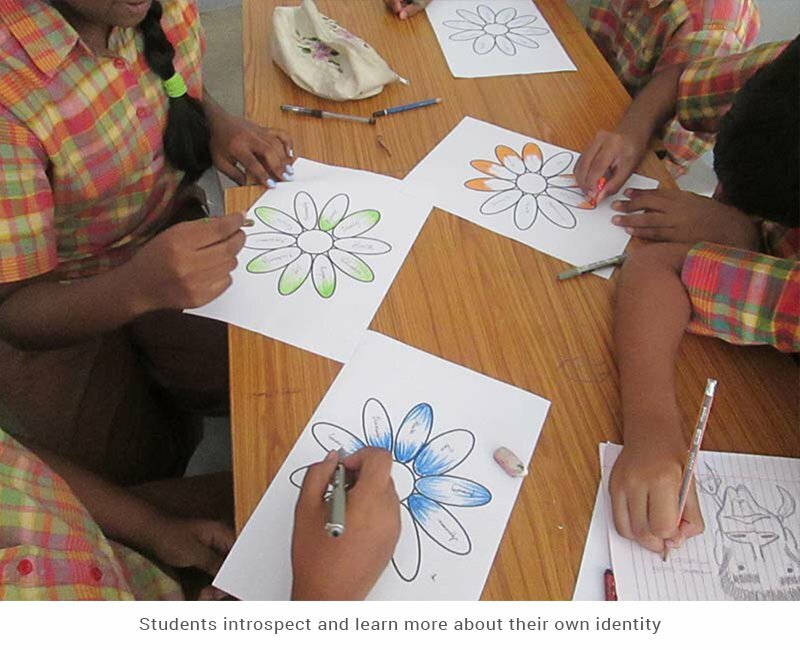 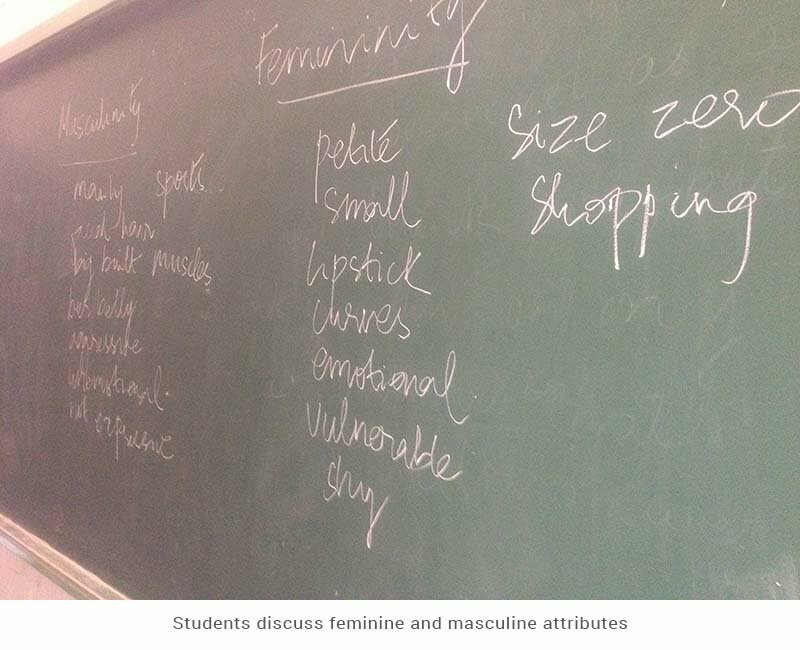 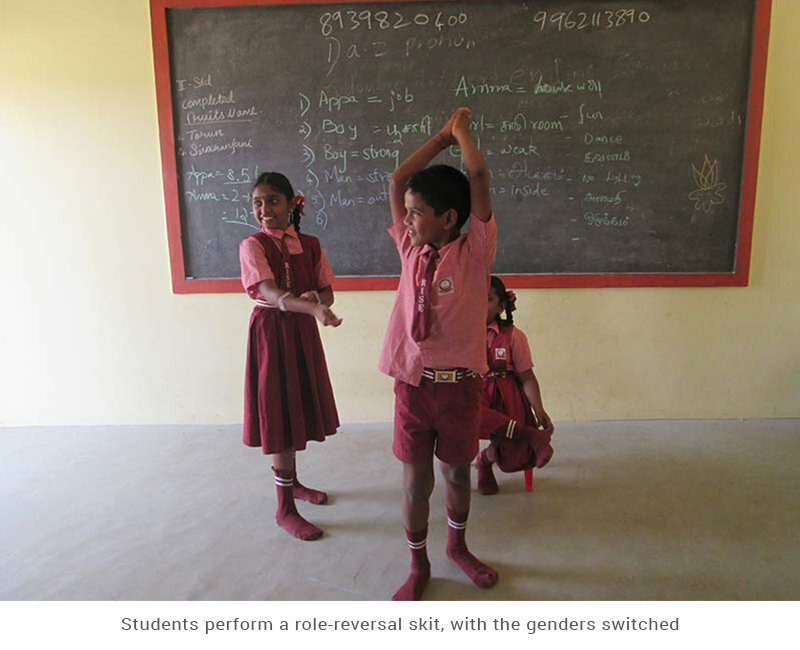 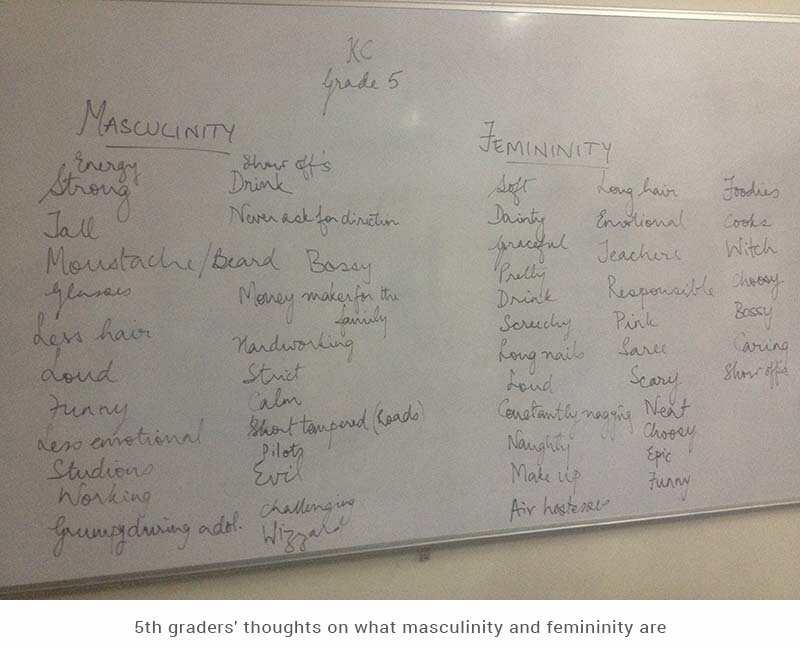 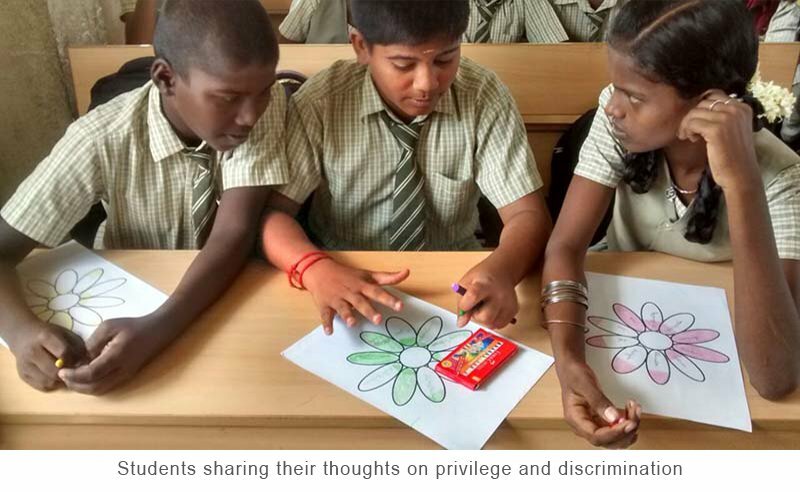 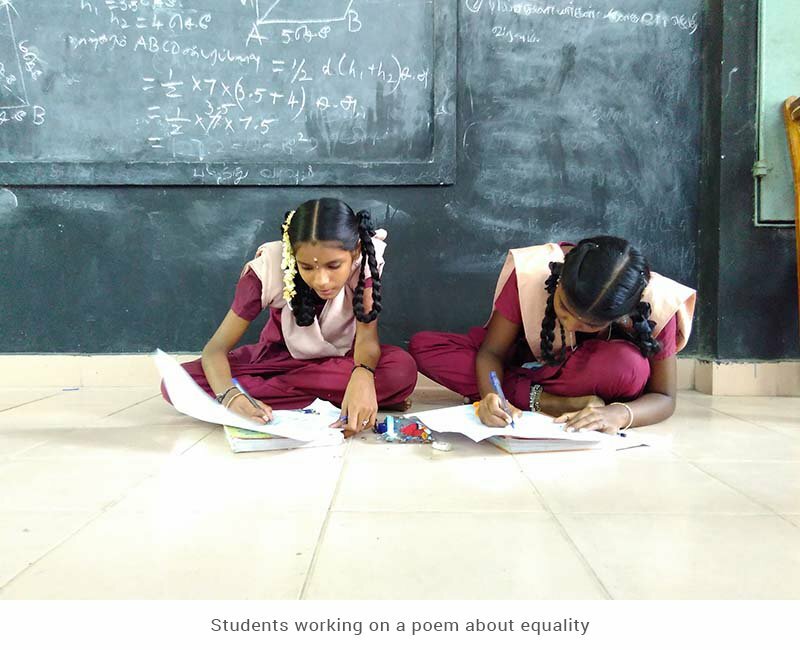 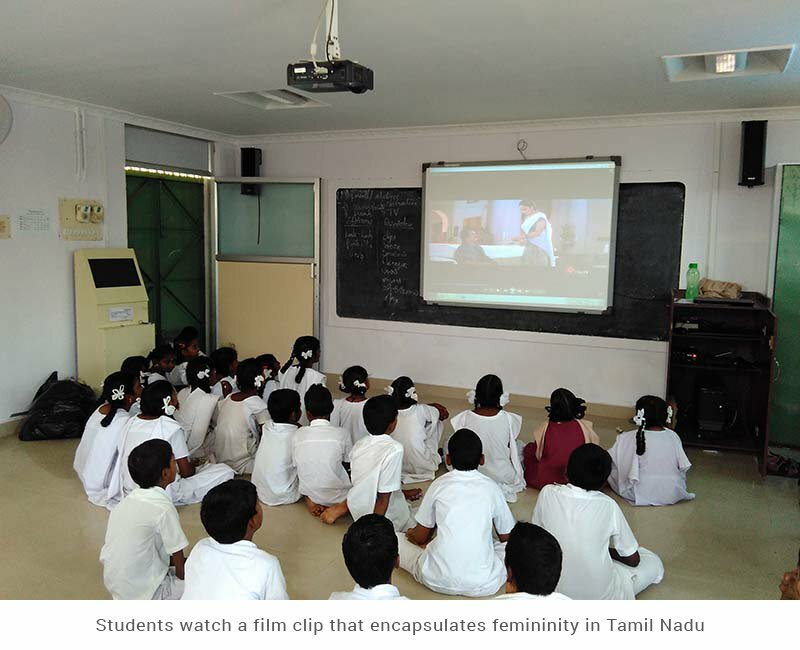 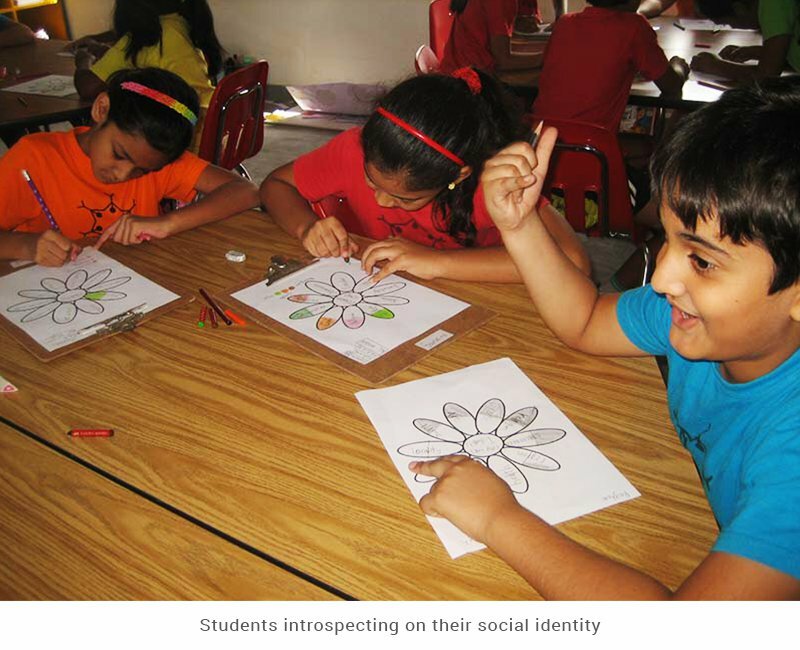 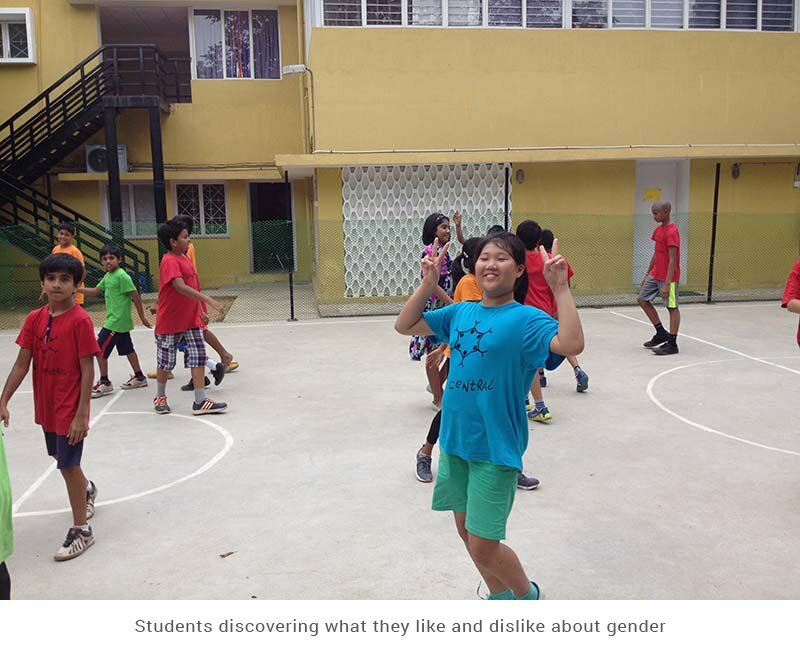 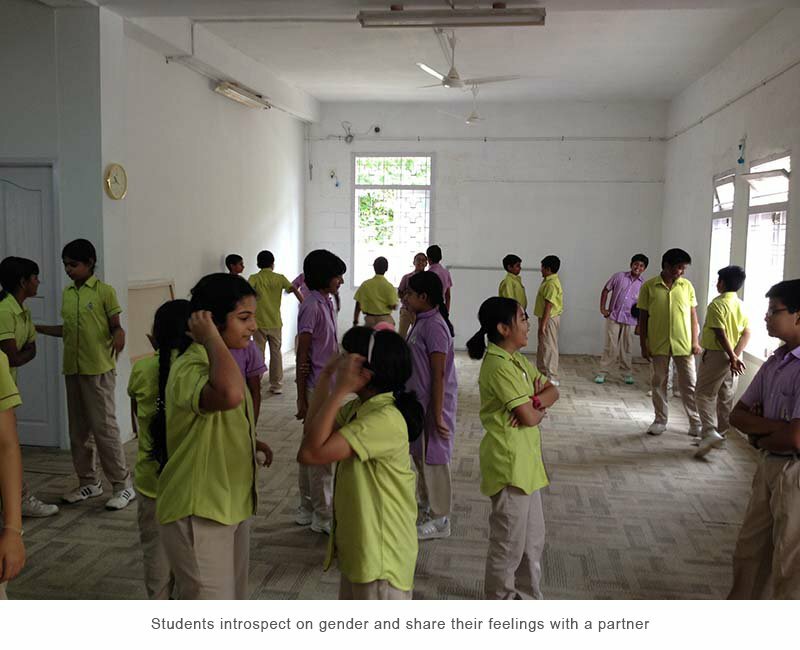 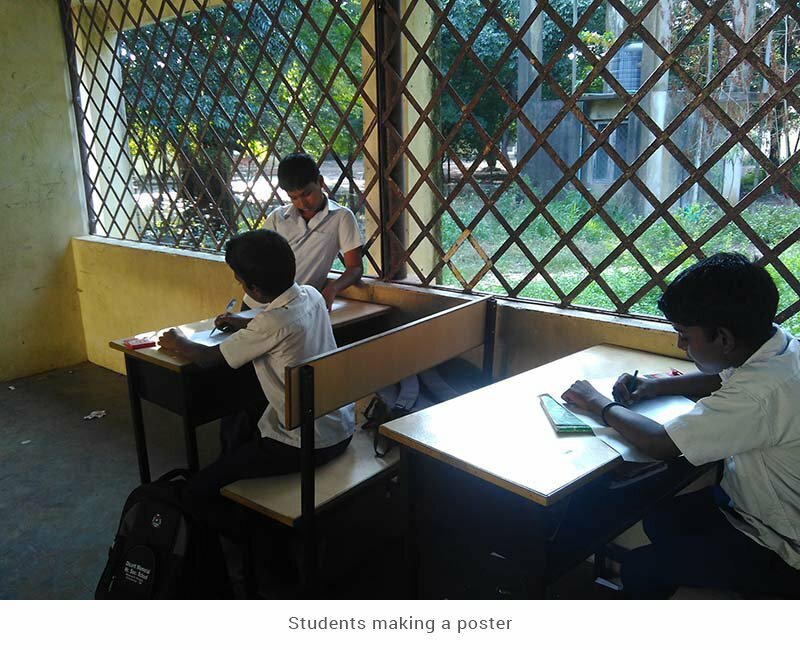 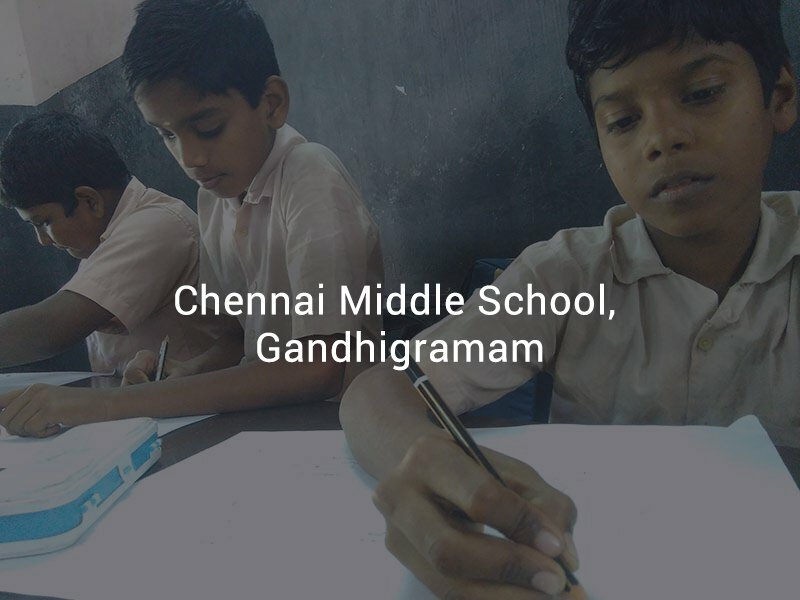 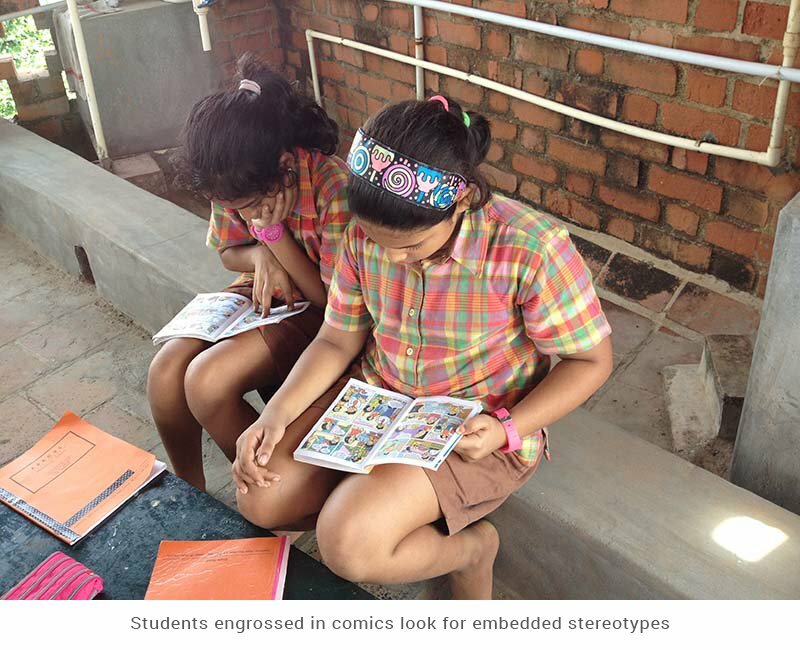 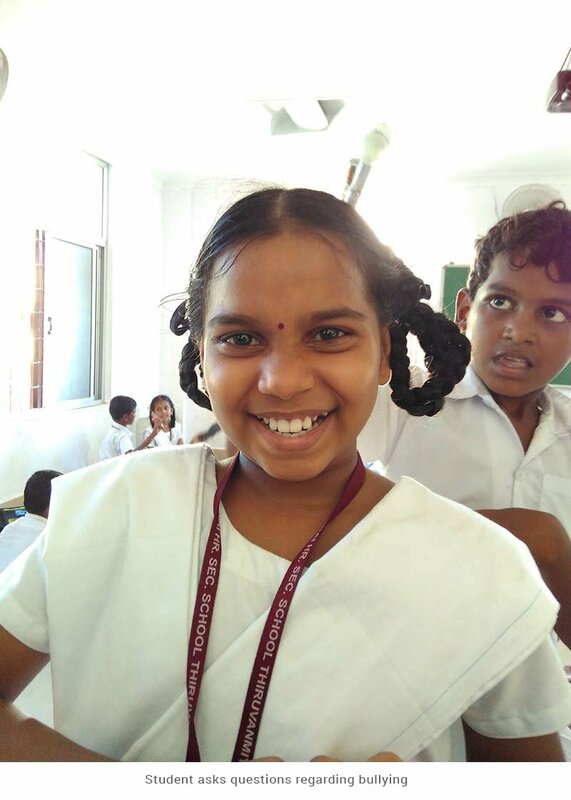 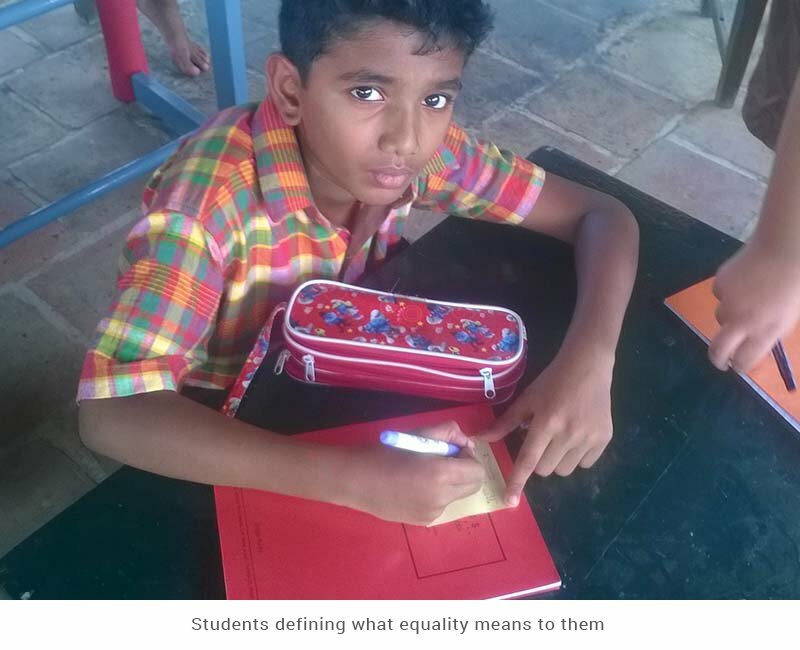 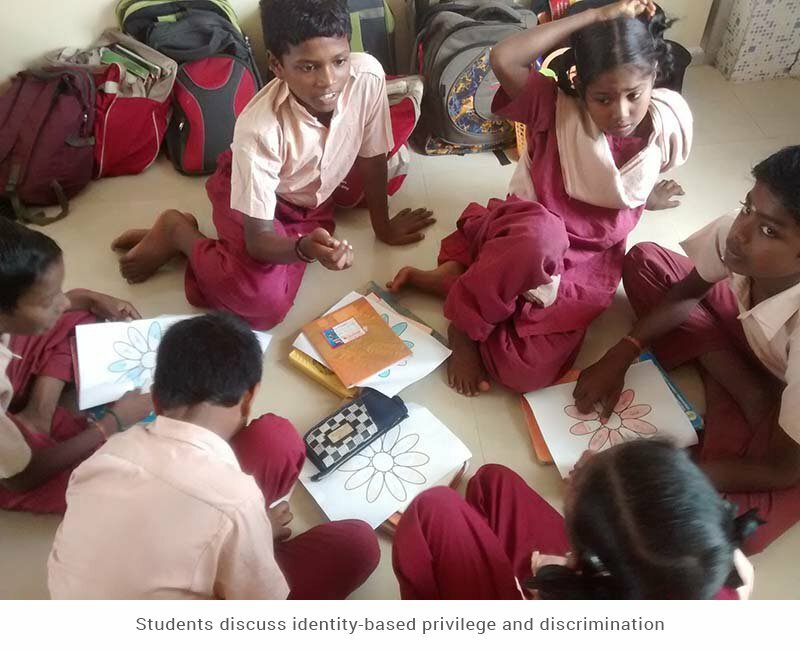 Gulika Reddy conducted a workshop where Grade 5 students in the American International School, Chennai, discussed ‘masculine’ and ‘feminine’ traits, stereotypes they face because of their gender and brainstormed ways in which they can change these stereotypes. 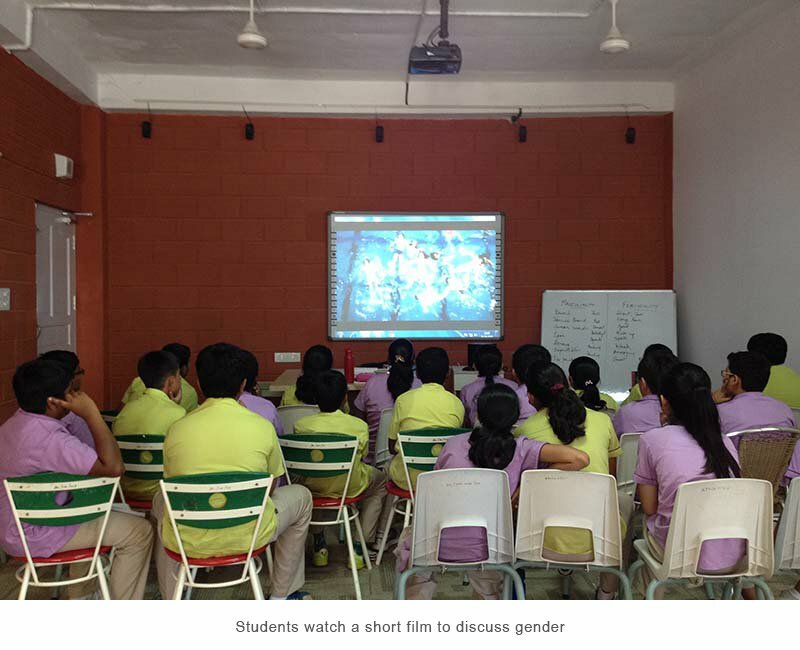 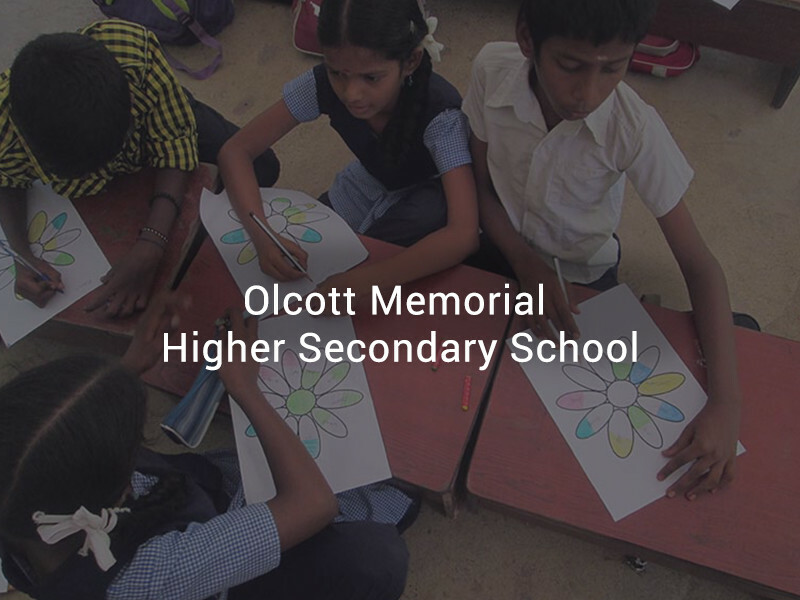 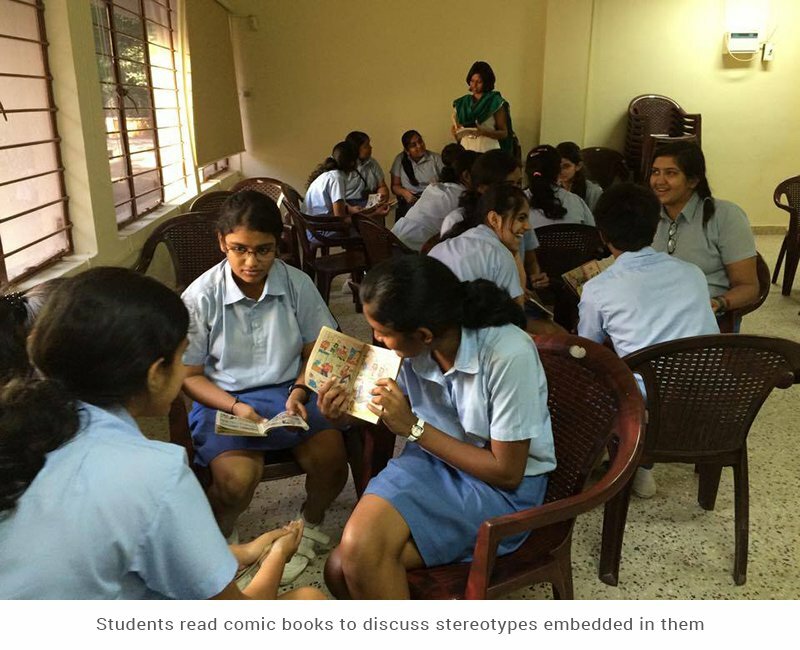 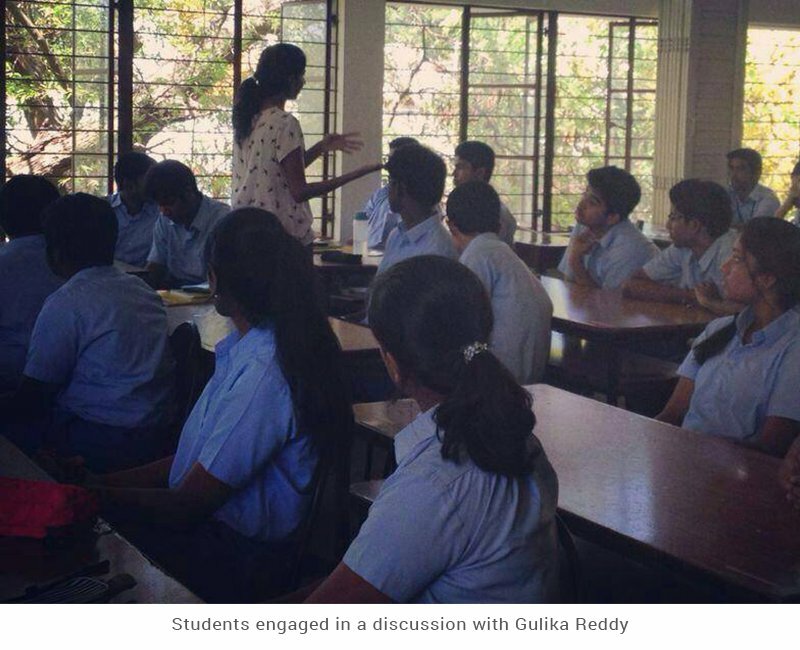 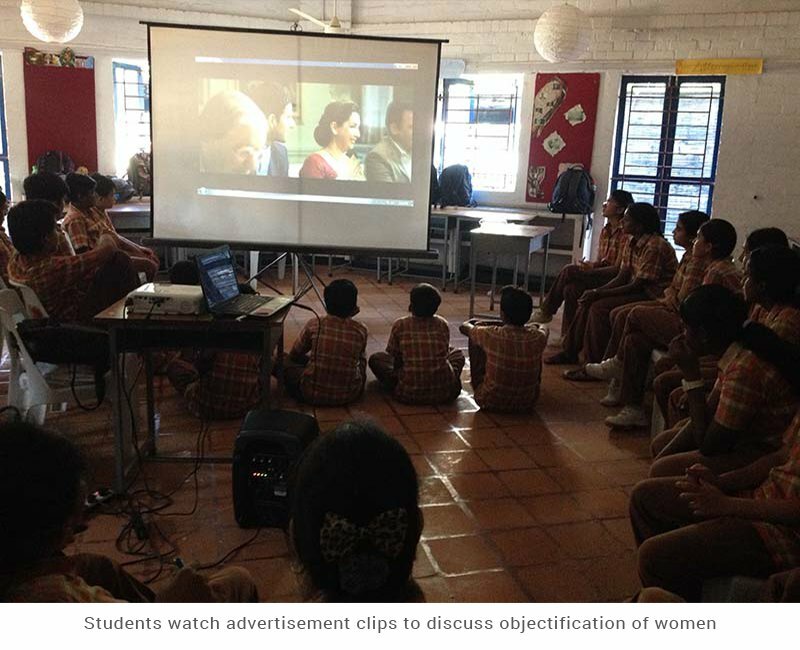 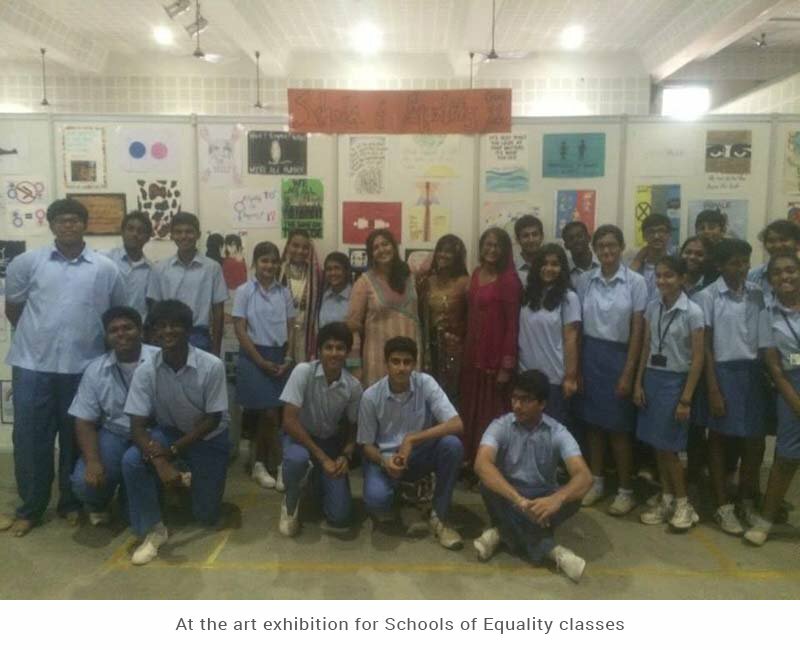 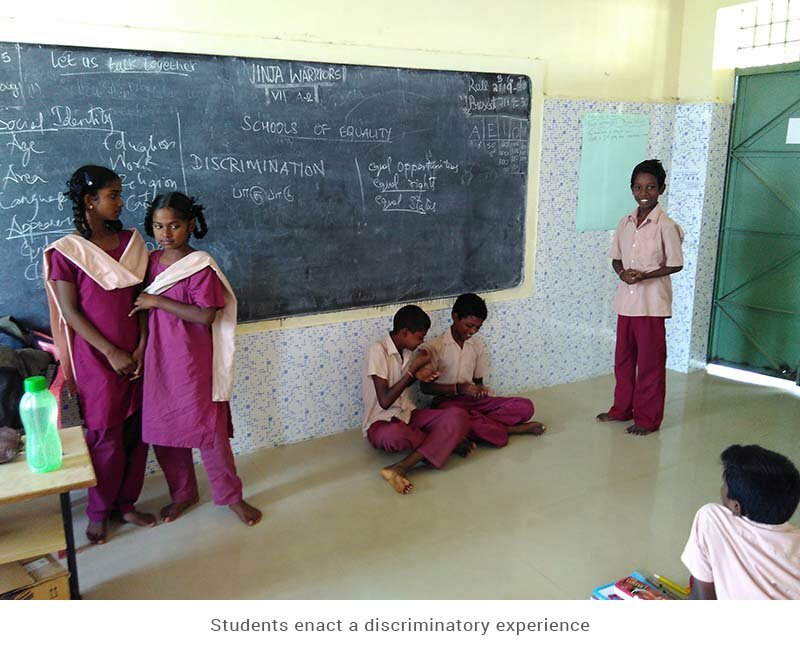 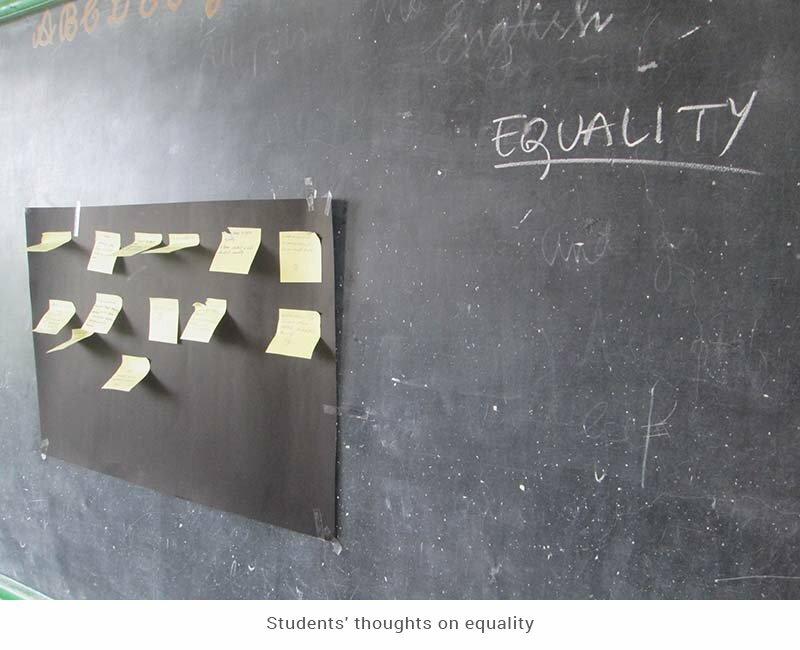 Gulika Reddy conducted a workshop where high school students at Lalaji Memorial Omega International School examined the role of society and media in defining gender roles and stereotypes. 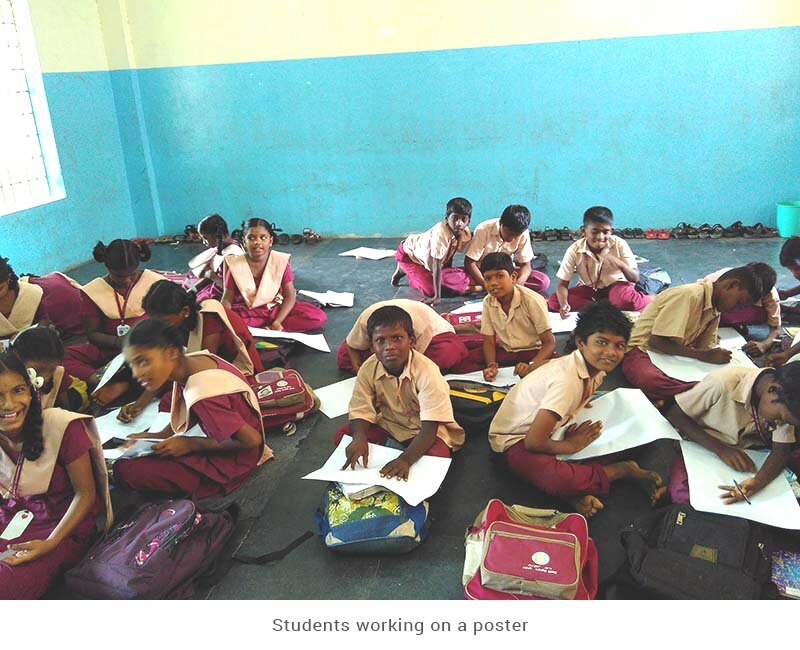 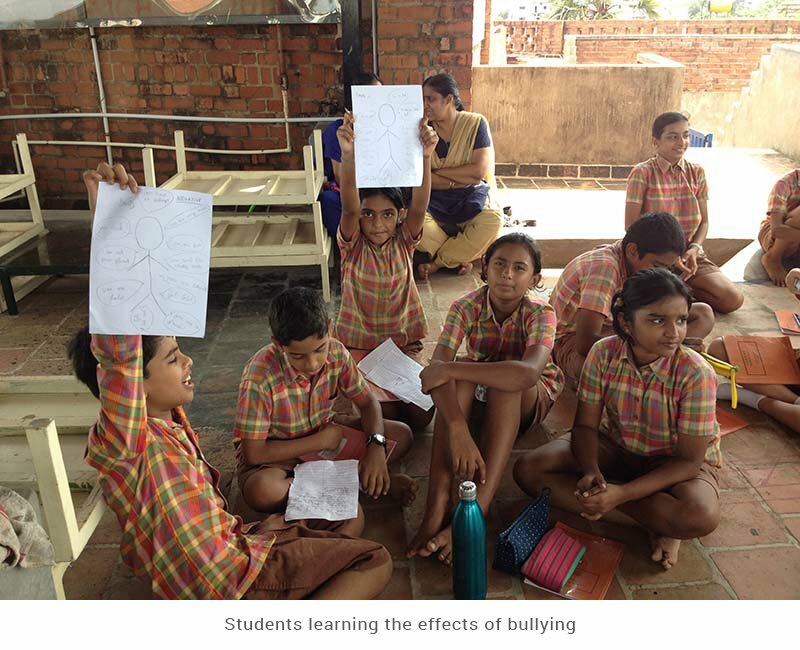 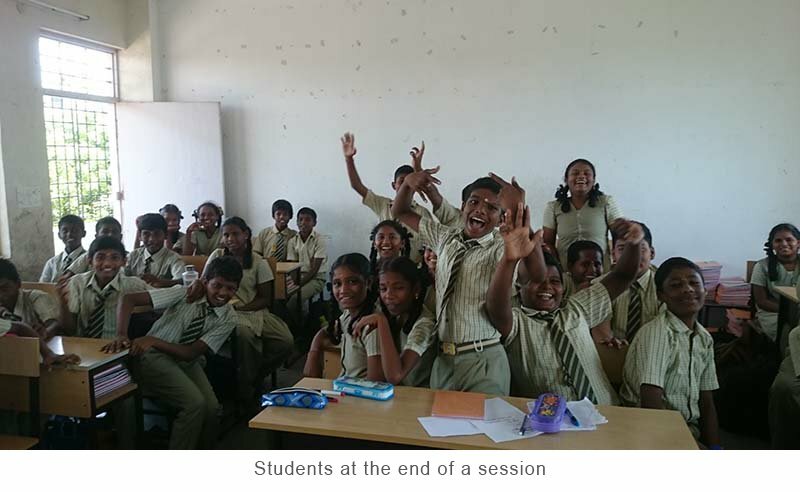 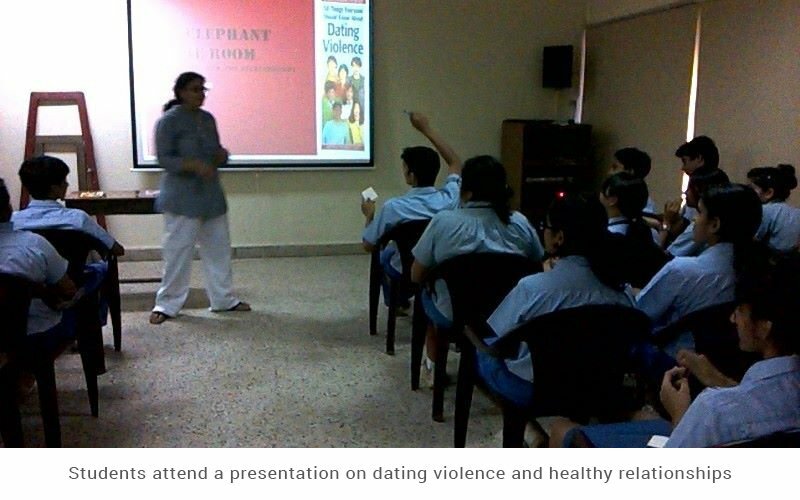 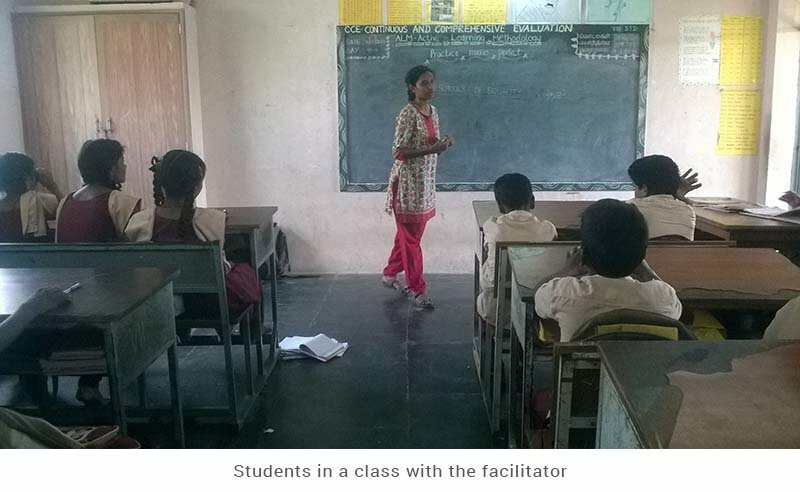 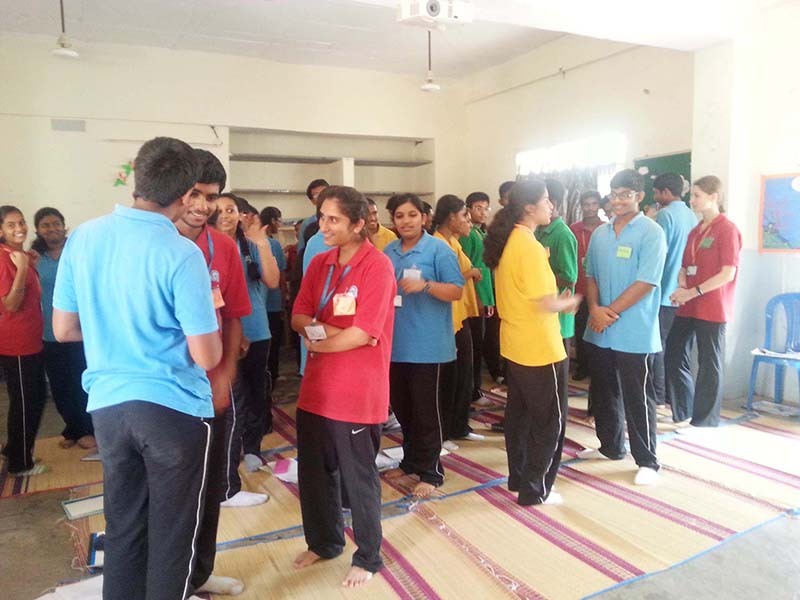 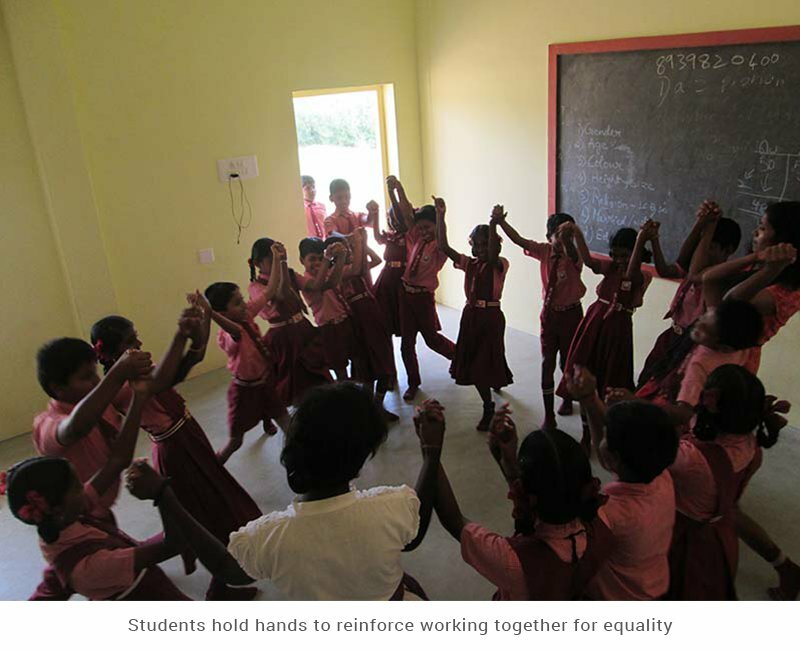 Gulika Reddy conducted a workshop in Aarti School in Kadapa district, Andhra Pradesh. 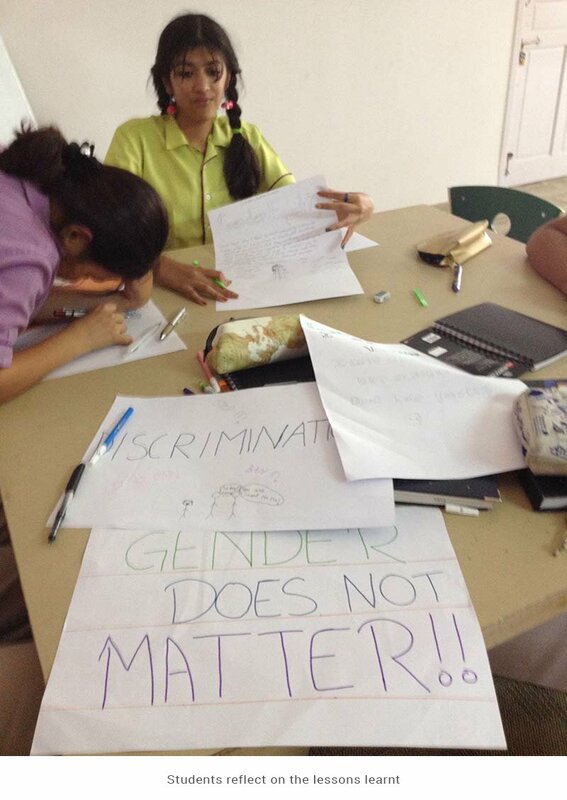 At this workshop, Grade 9 students discussed the restrictions and challenges faced due their gender and discussed ways in which they can use art and theatre to shift the attitudes of local leaders in the community. 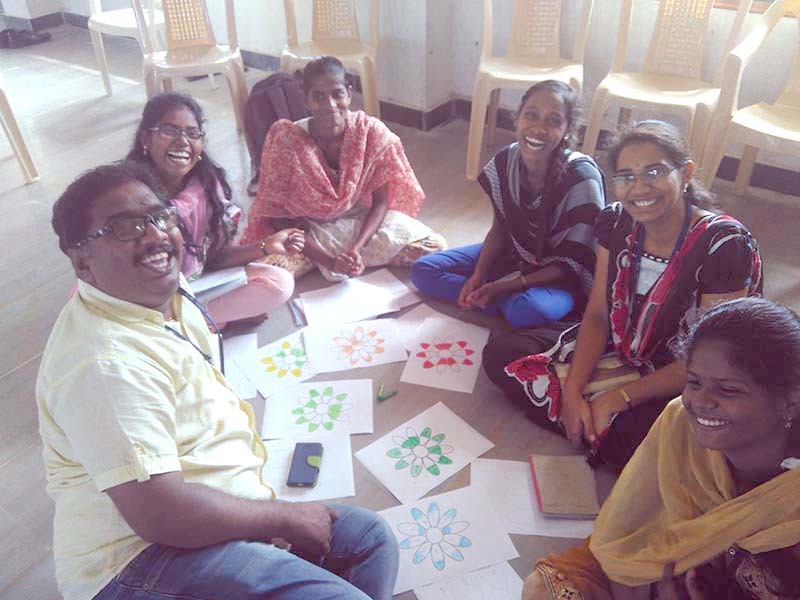 Saranya Manoharan conducted a two-day gender sensitization workshop for the staff at Aarti Home, Andhra Pradesh. 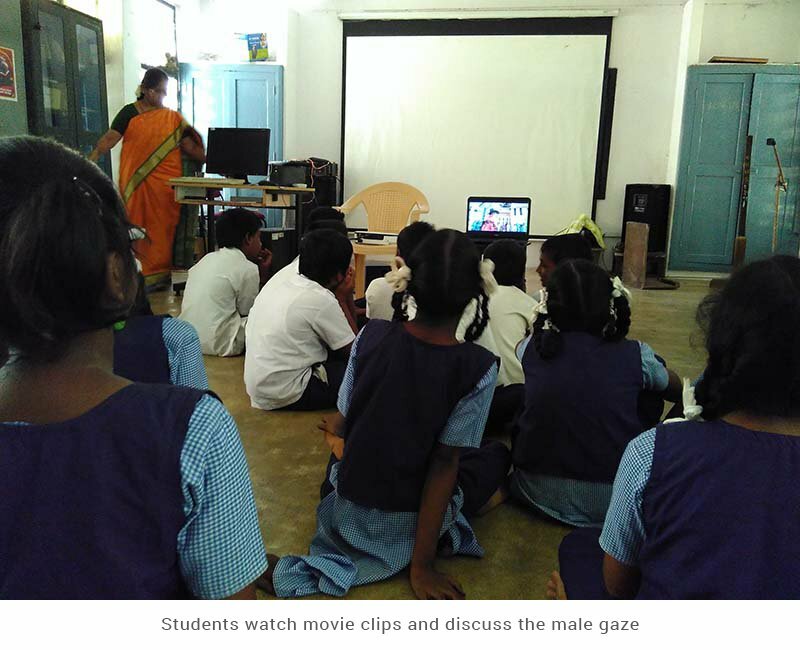 This workshop was part of a larger European Union project aimed at reducing incidence of female foeticide in Kadapa district of Andhra Pradesh. 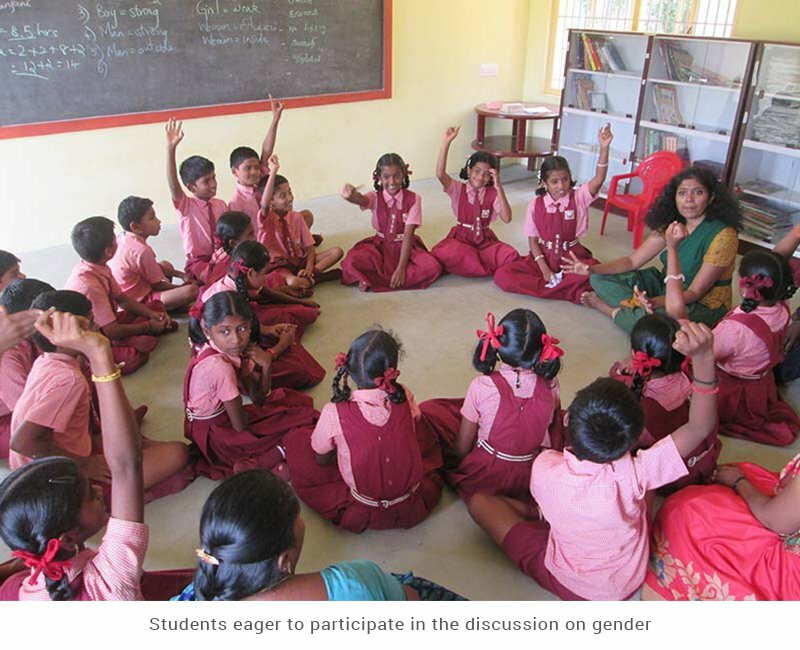 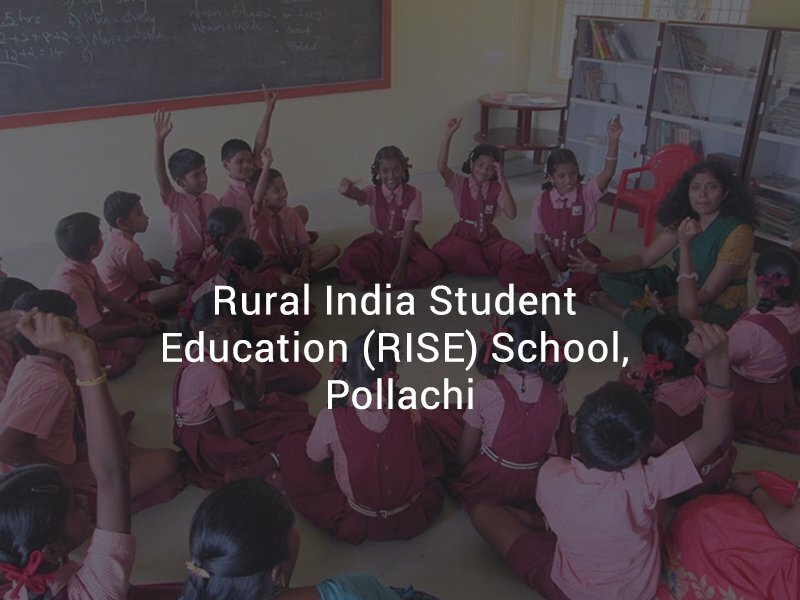 Participants of this workshop will work with teachers in 100 rural schools over the next three years to change attitudes of young students towards women and girl children.